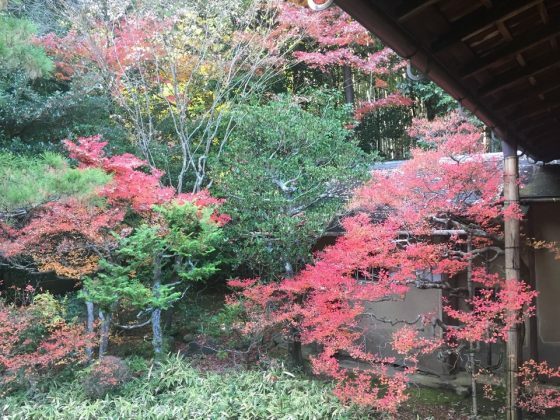 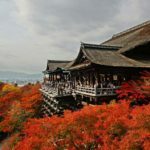 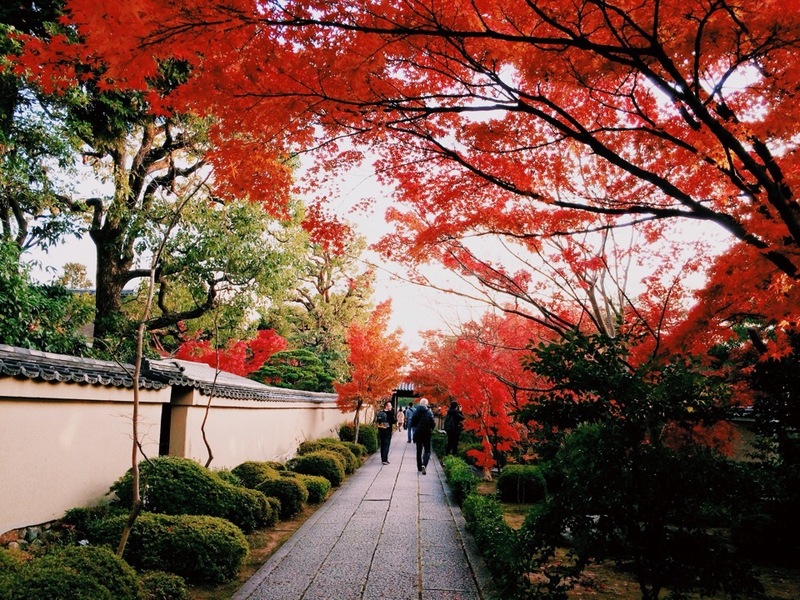 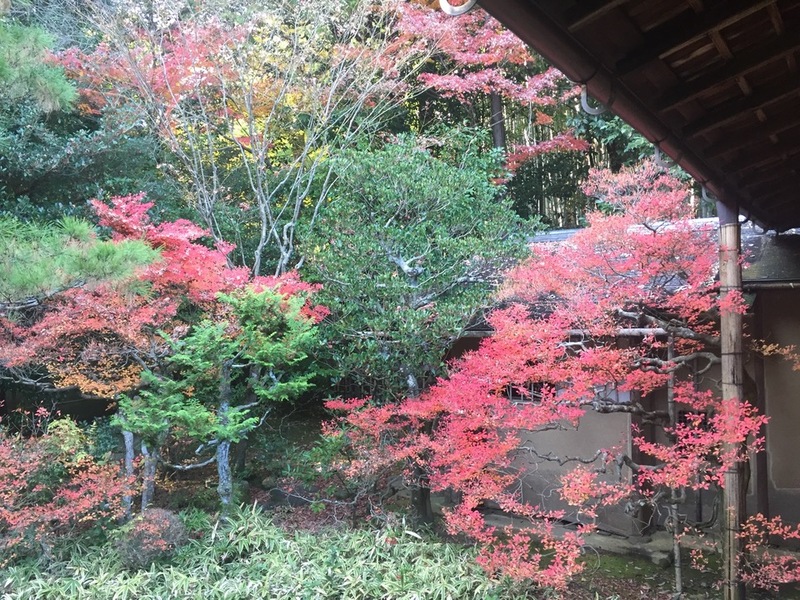 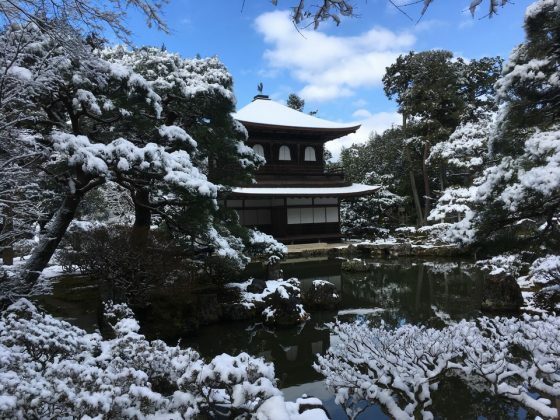 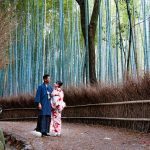 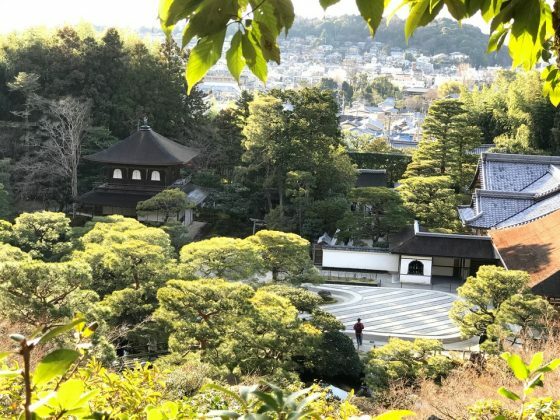 Top 5 Japanese gardens you must-see in Kyoto - Living + Nomads – Travel tips, Guides, News & Information! 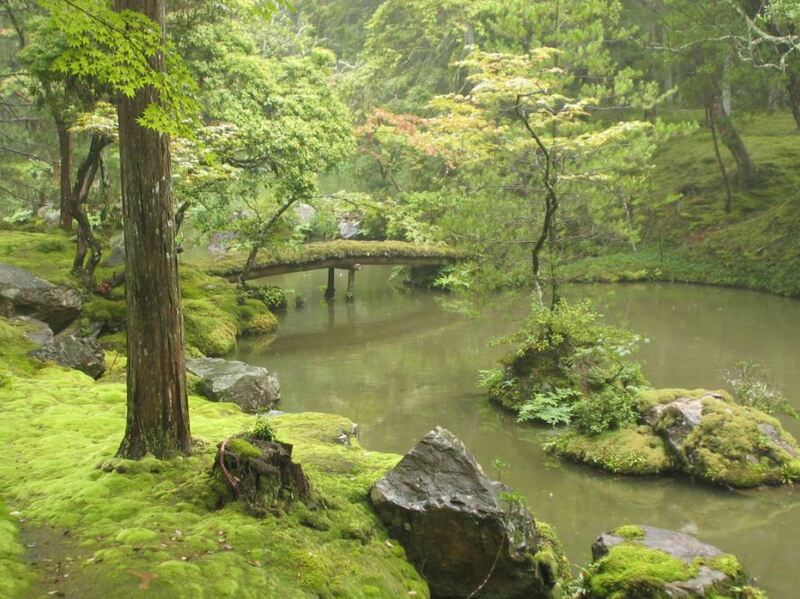 Ryoan-ji Garden, one of the most beautiful Japanese garden. 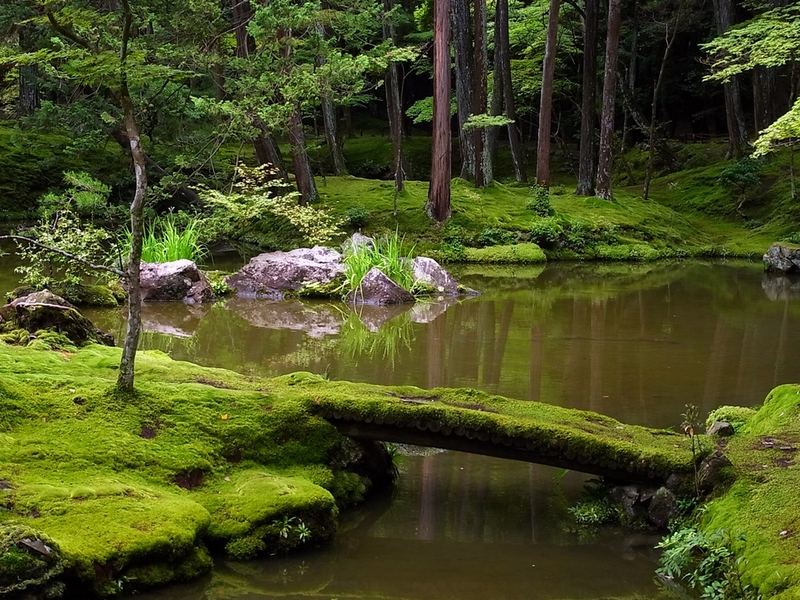 Moss Temple and Gardem (Kokedera, Saiho-ji) in Kyoto, Japan, Copyright: kobo / 123RF Stock Photo. 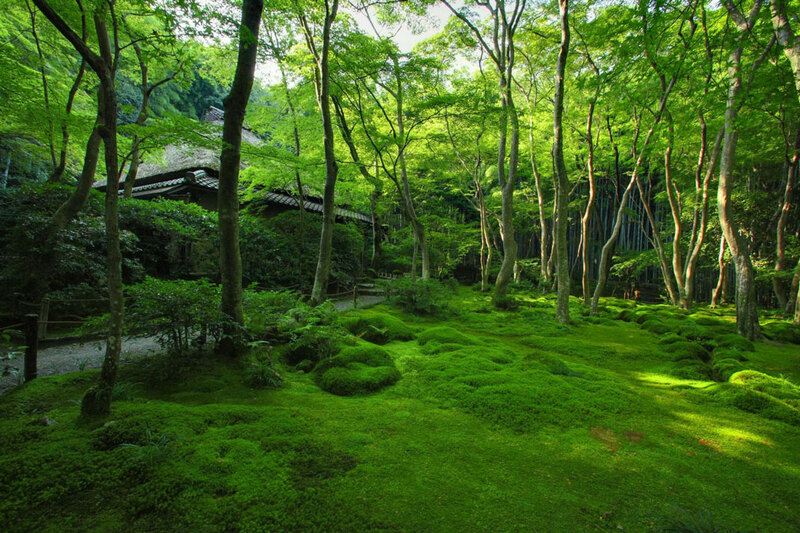 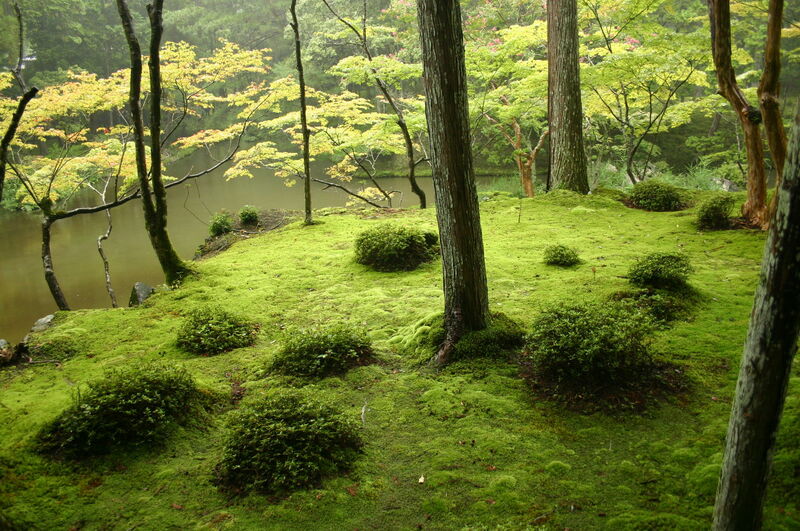 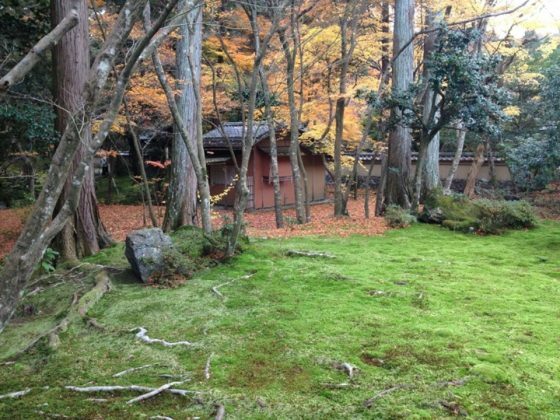 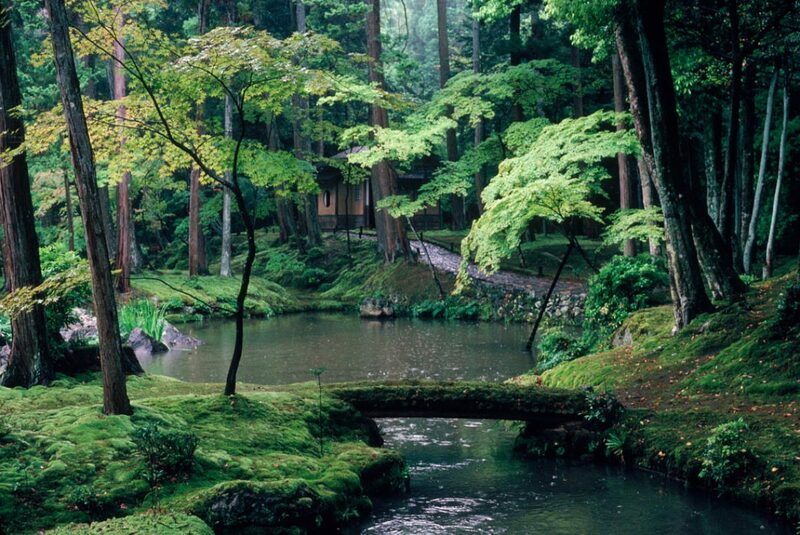 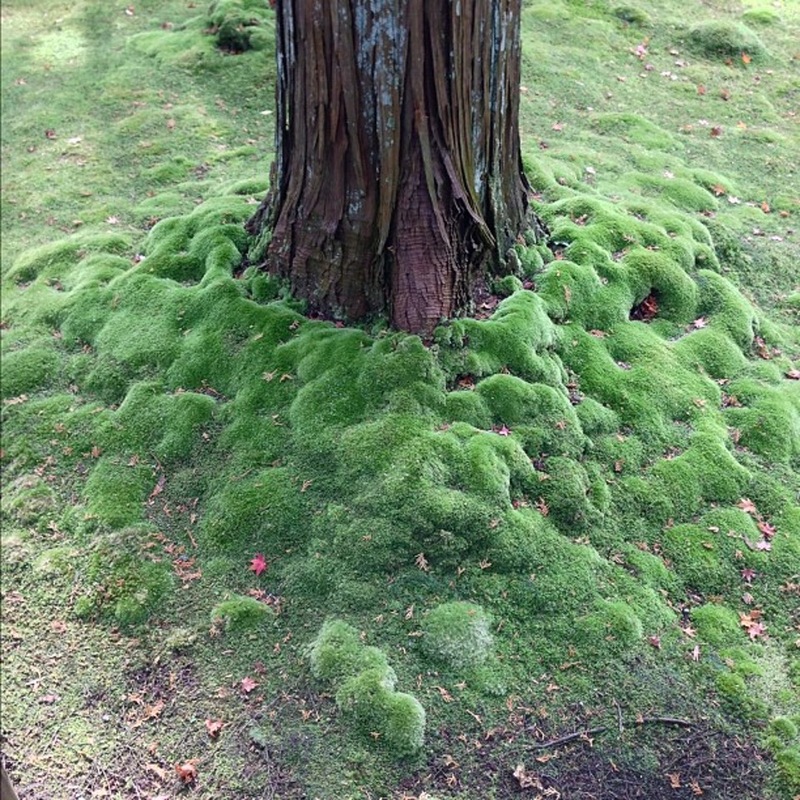 Also known as Koke-dera or the Moss Temple, Saiho-ji is the name of a temple in the south west of Kyoto. 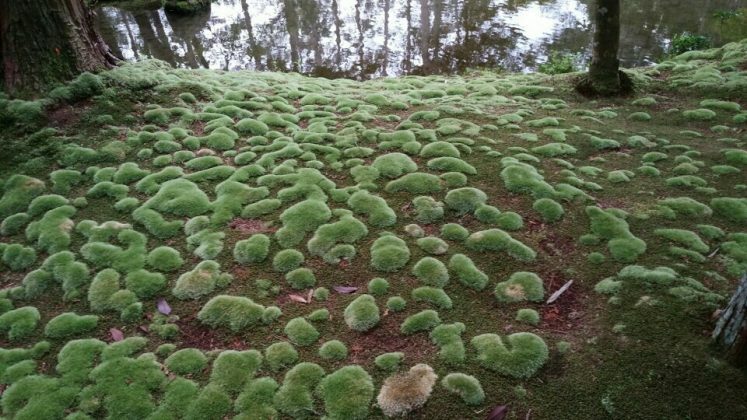 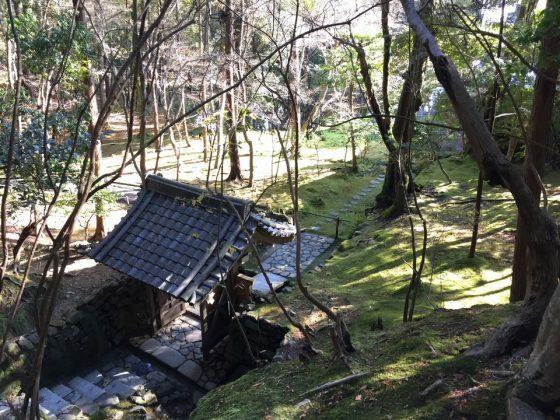 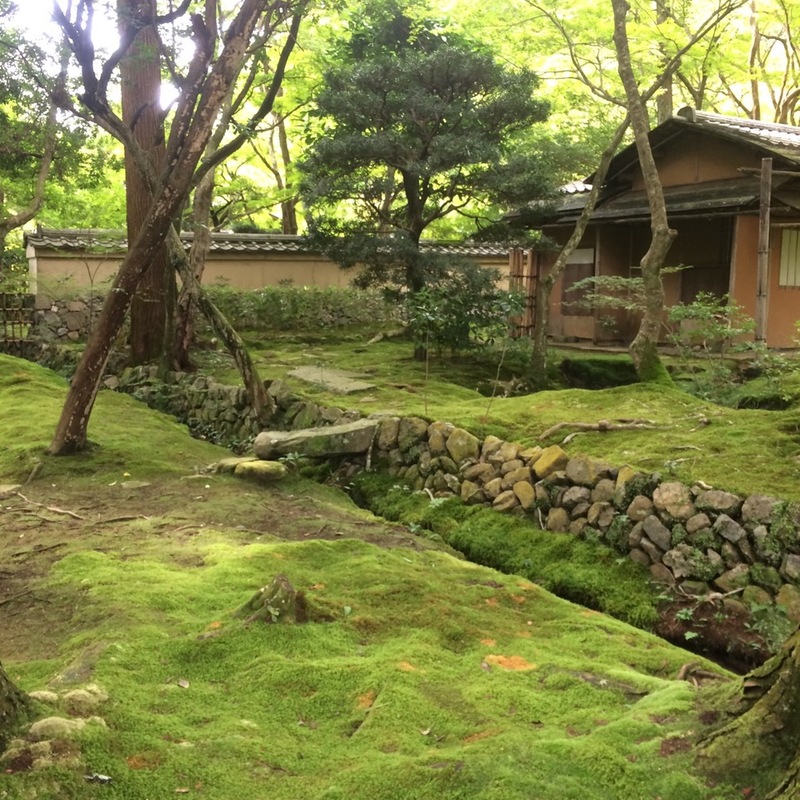 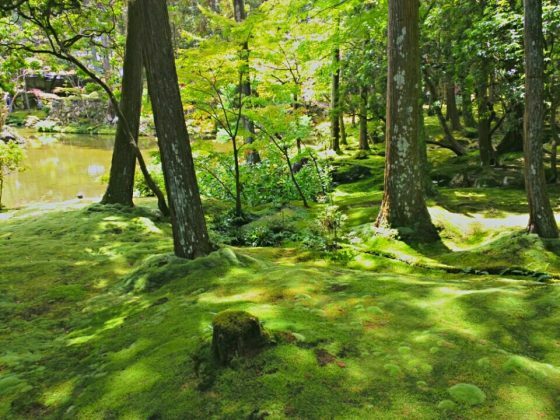 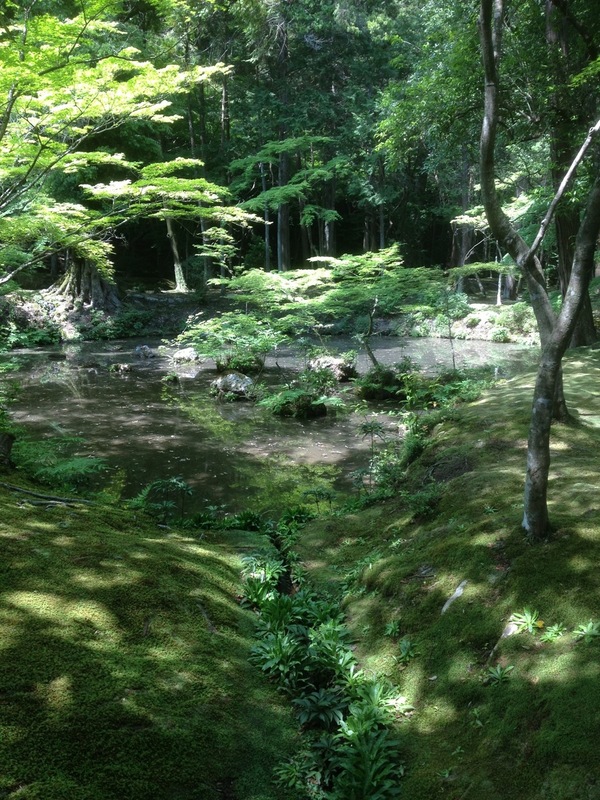 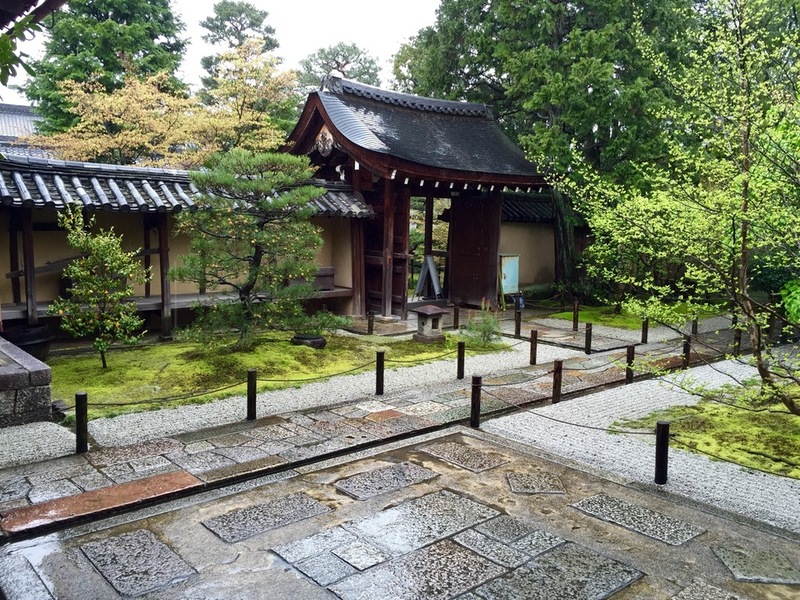 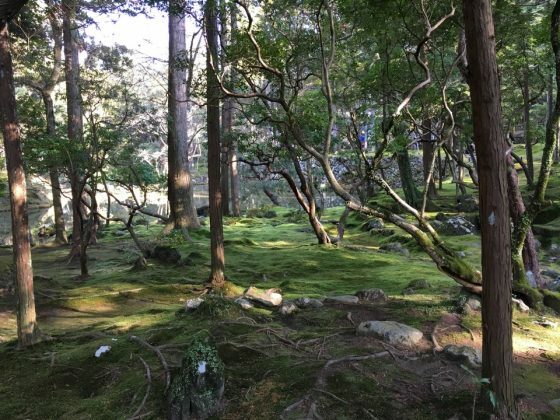 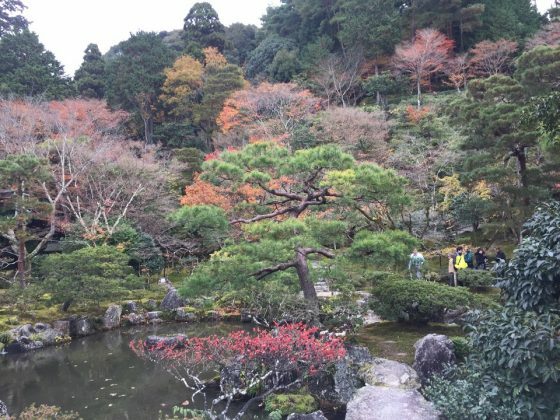 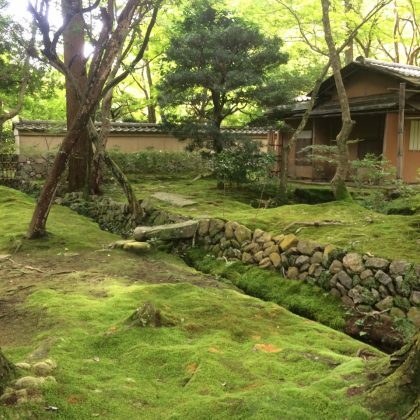 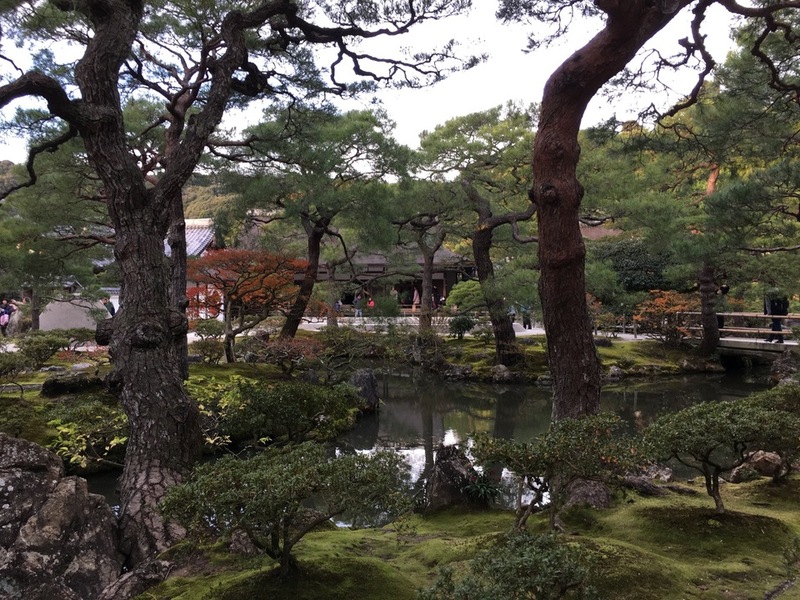 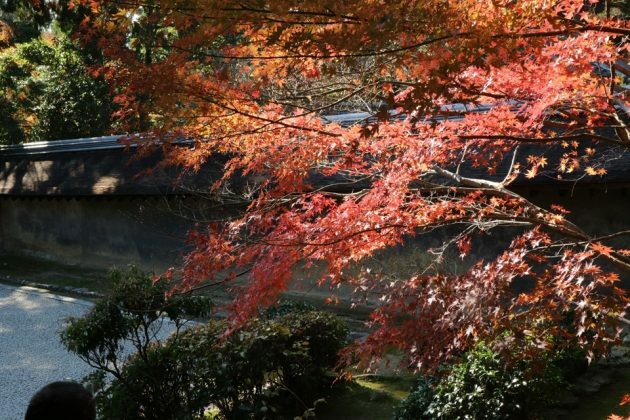 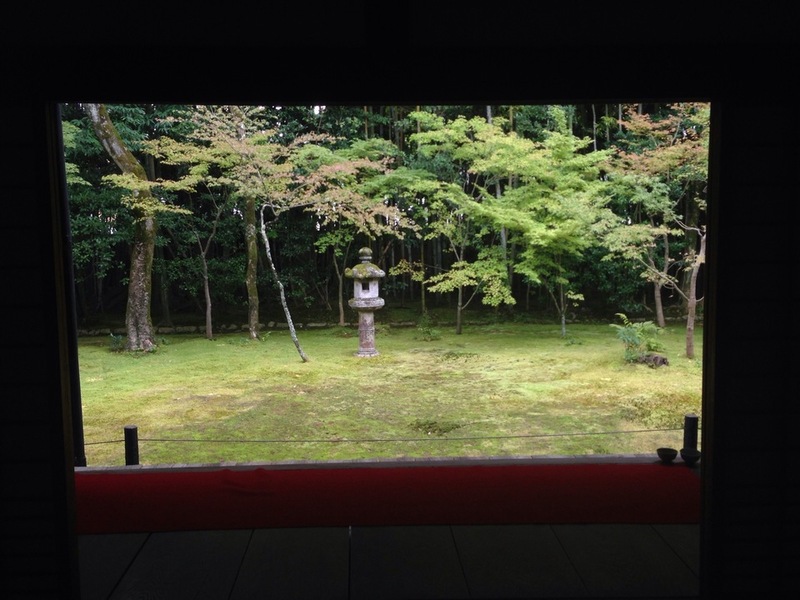 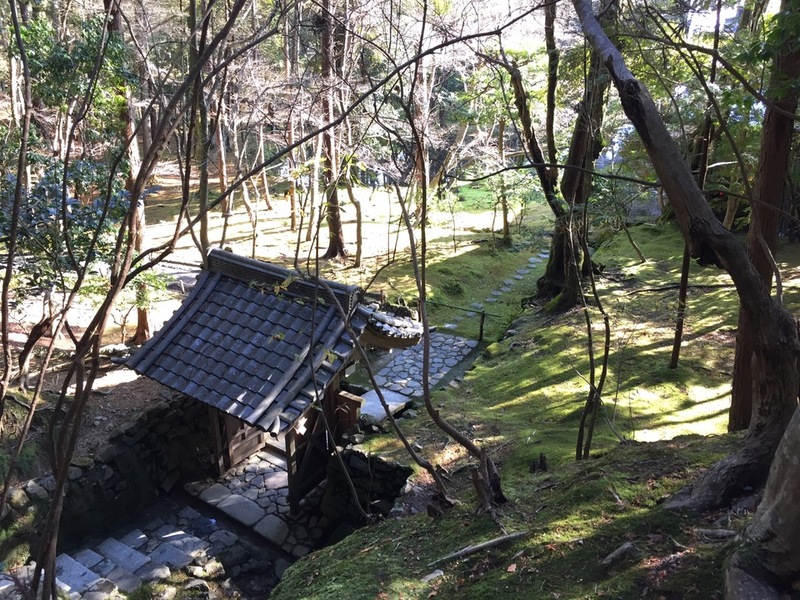 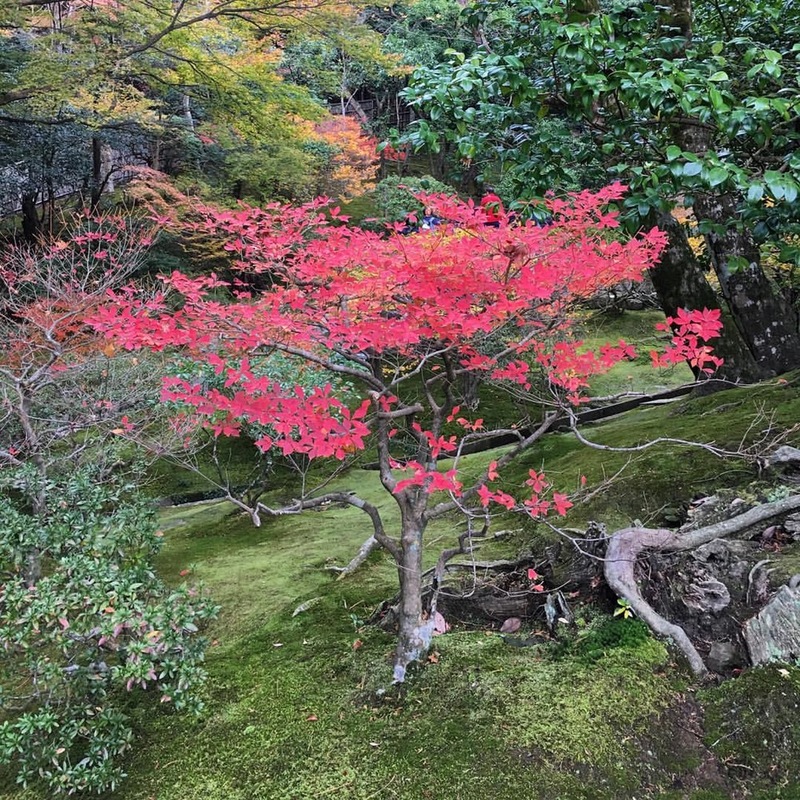 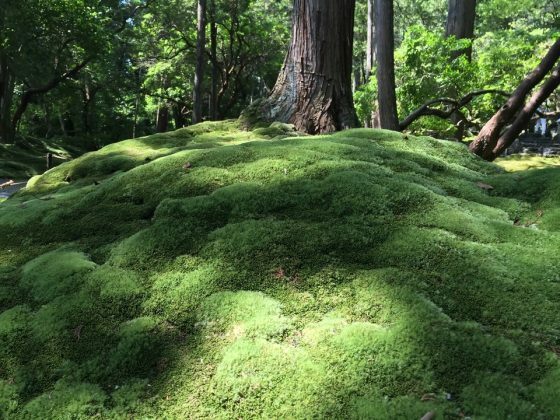 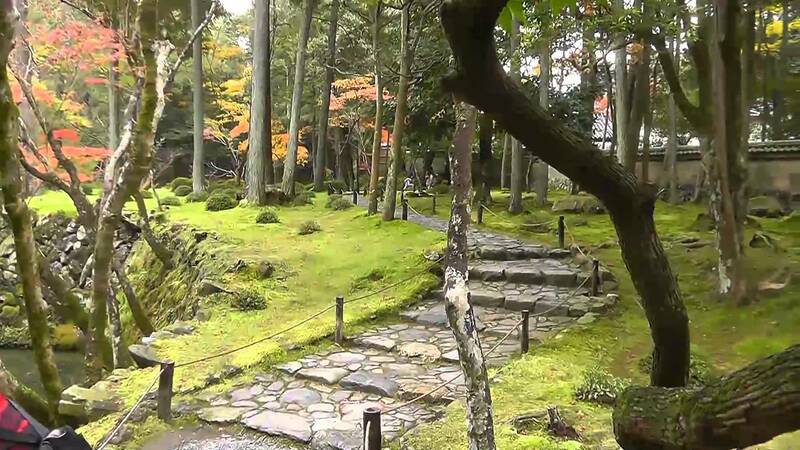 Its garden, one of the oldest surviving in Kyoto, is mostly famous for the many varieties of moss that cover most of its grounds. 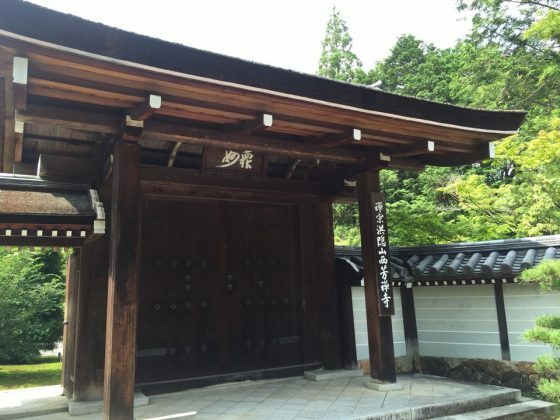 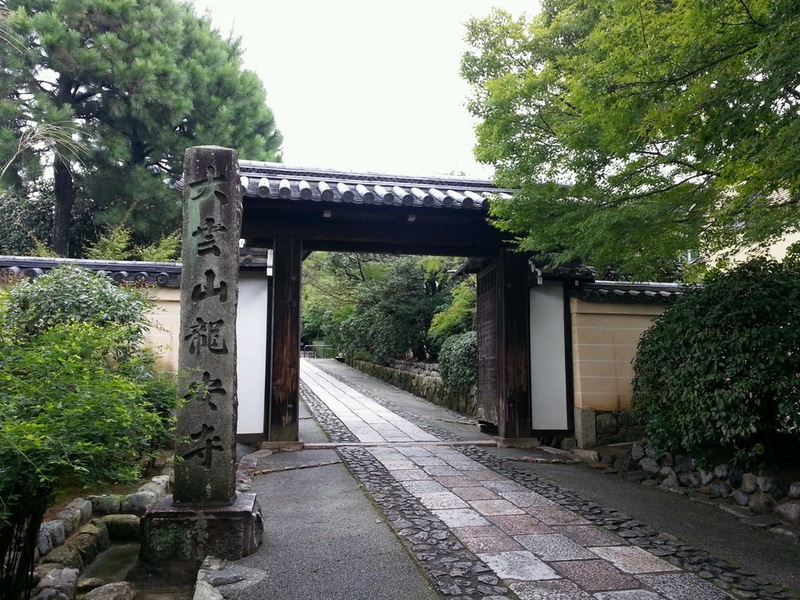 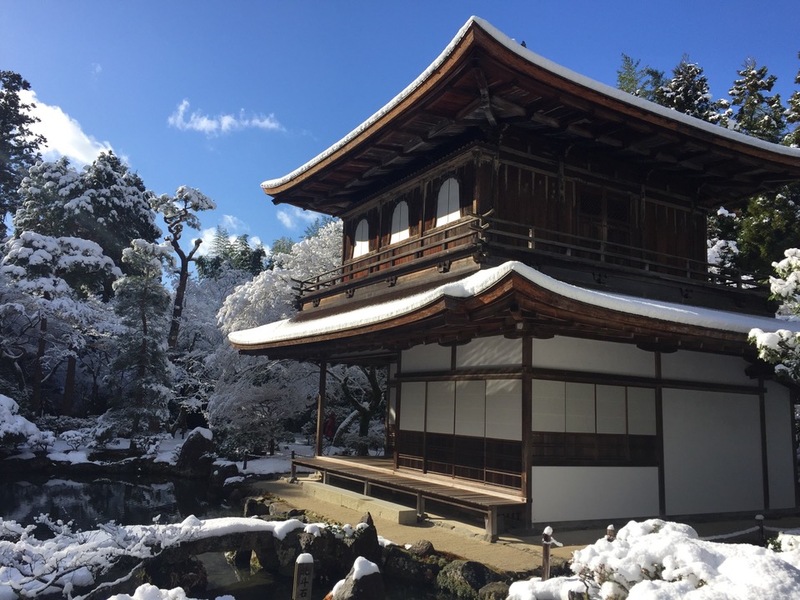 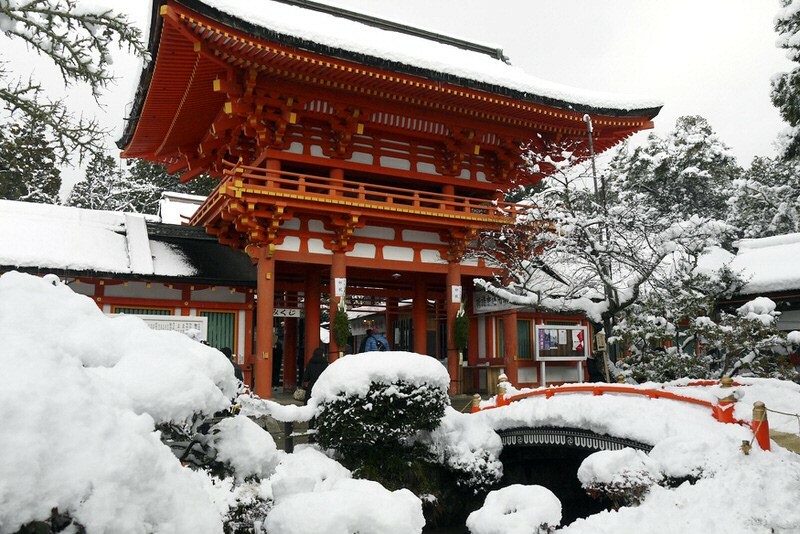 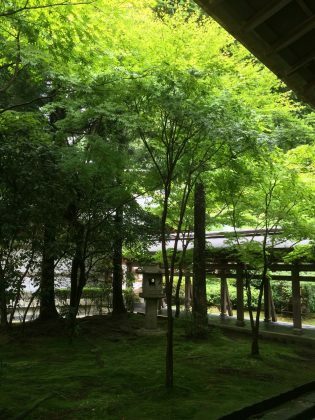 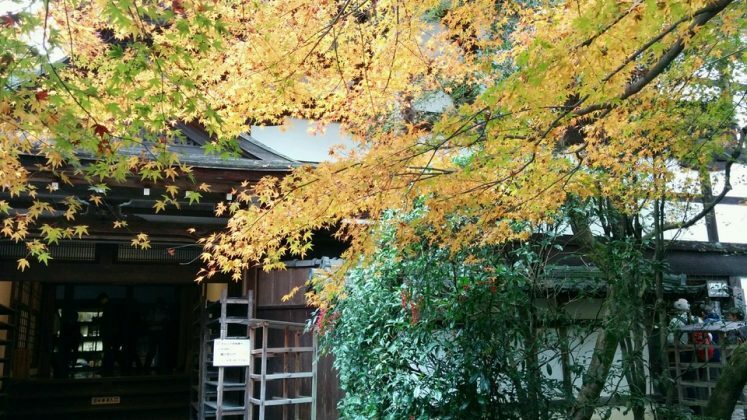 The temple belongs to the Rinzai sect of Zen Buddhism and was originally founded during the 8th century. 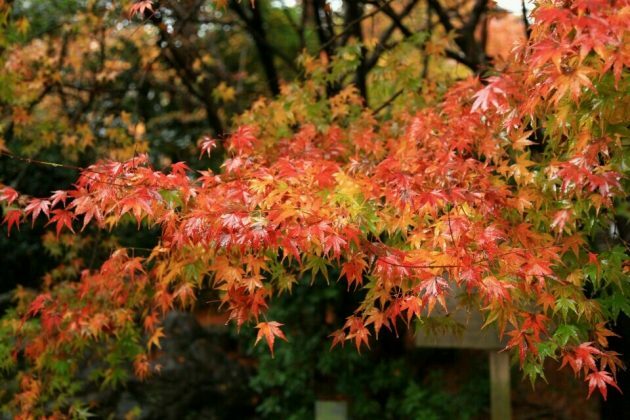 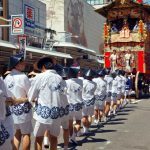 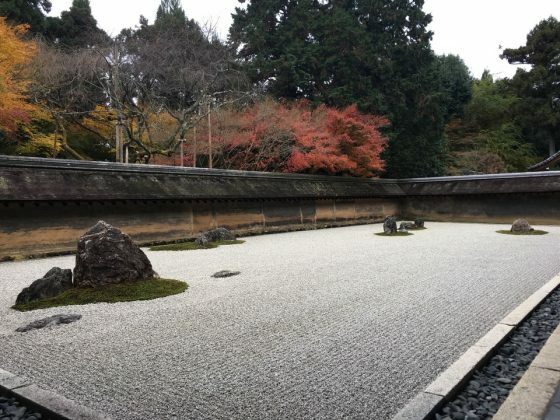 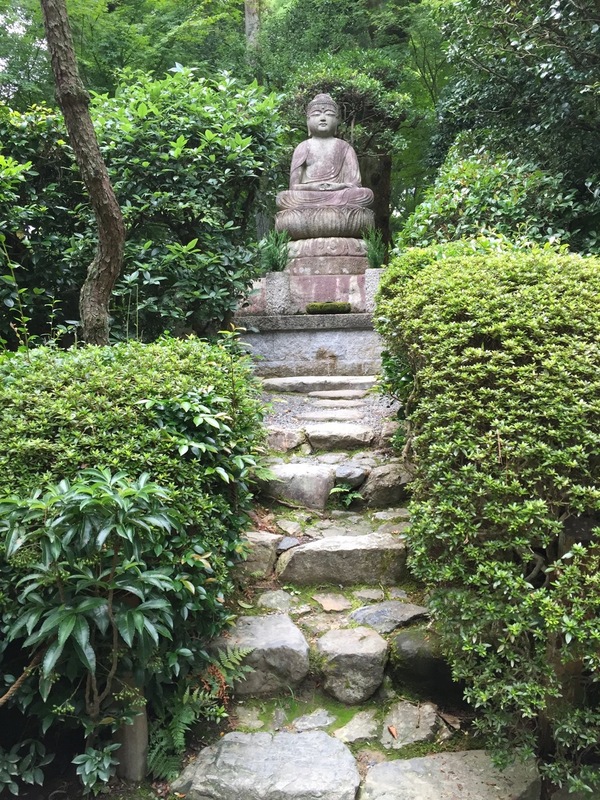 In 1339 Muso Soseki, a noted priest famous for his new approach to gardening, redesigned the grounds, giving them a spiritual aspect that better served Zen teachings. Soseki believed that meditating in a garden, where nature and the human conscience merge, is the best way to reach enlightenment. Although the garden has undergone many reconstructions, the main ideas of the original design remain, and they have inspired many other gardens ever since. 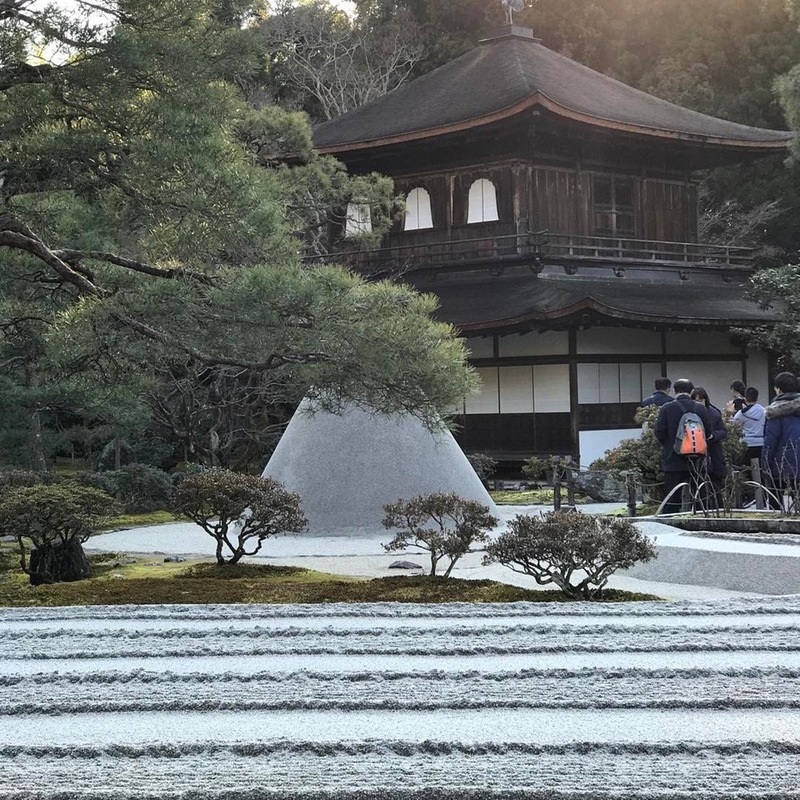 For example, there is the deliberate distinction of the green heavenly garden and the drier Zen concept that was incorporated into the famous Ginkaku-ji temple later on. 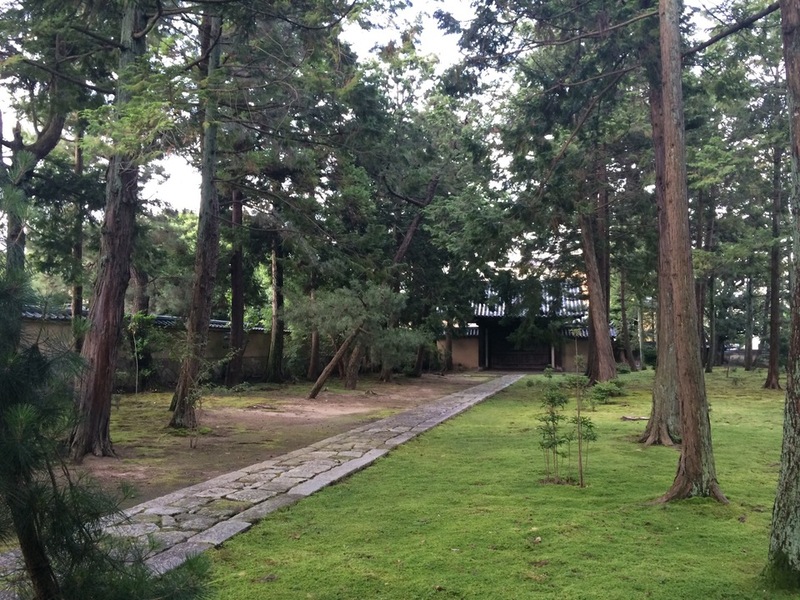 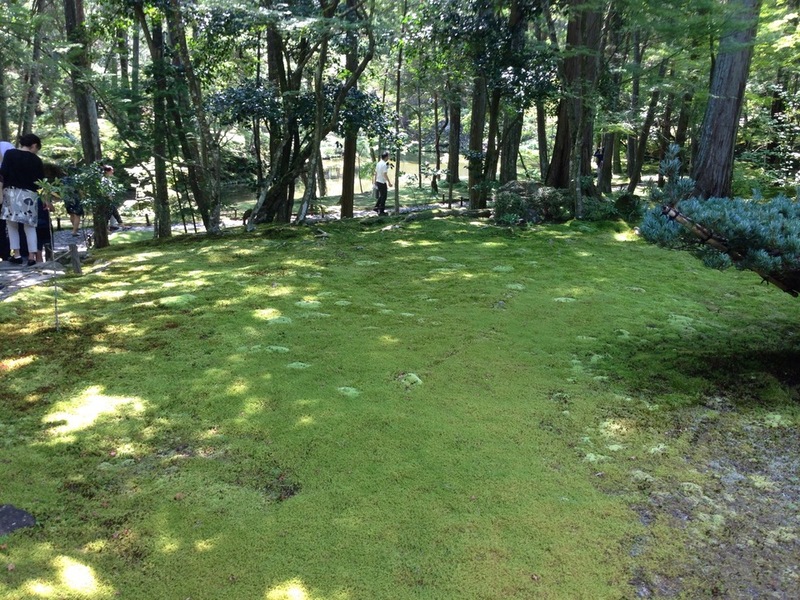 In truth, the Saiho-ji grounds look more like a small forest than a garden. 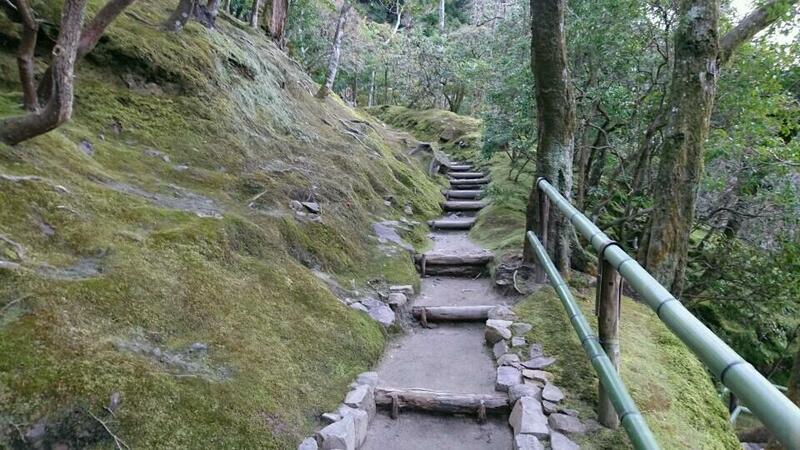 Its trees are left to grow naturally and the moss takes over, covering rocks and man-made constructions. 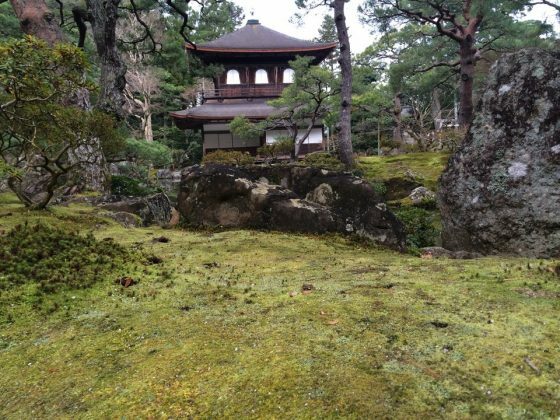 Over 40 different varieties of moss merge with the low stones and the small shrubs forming a soft luxuriant green carpet that is best seen during the rainy season in summer. 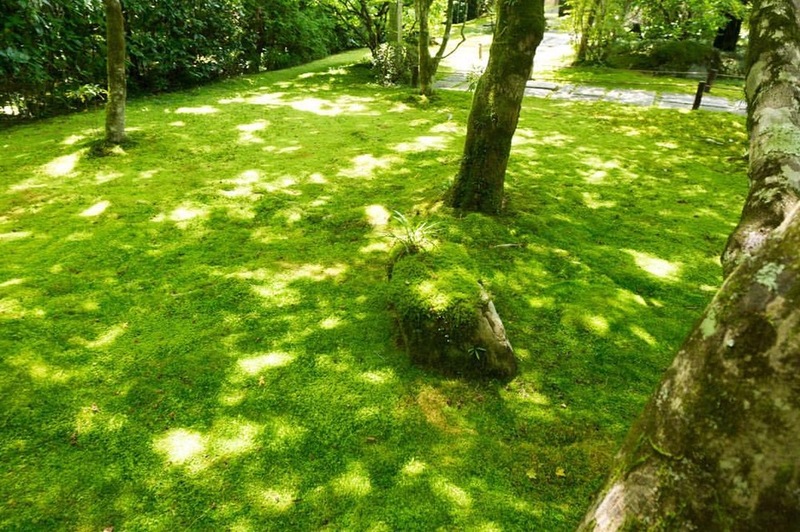 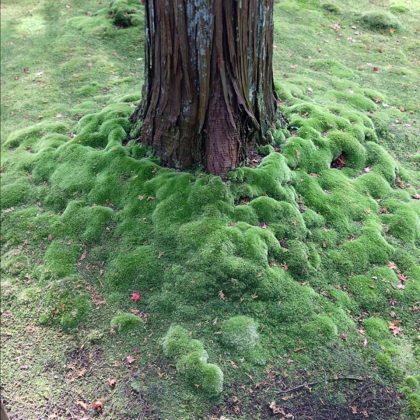 In combination with this green carpet, the tall trees cover the sky forming a green ceiling that leaves the garden in the shade for most of the year. The largest one of Ryogen-in’s five different landscape gardens at Daitoku-ji Temple in Kyoto, Japan, Copyright: coward_lion / 123RF Stock Photo. 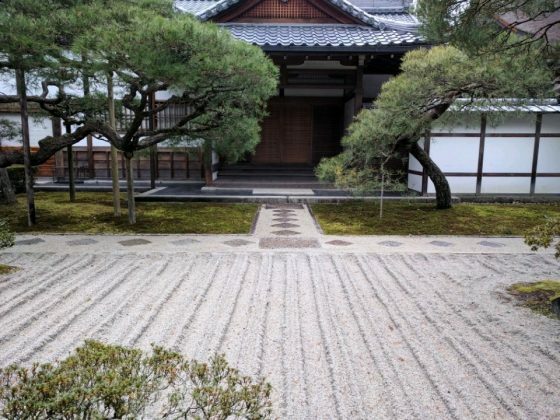 Another Rinzai Zen Buddhist temple is Daitoku-ji in northern Kyoto, one of the largest Zen temple precincts in the city. 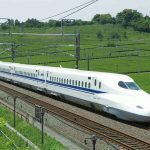 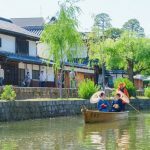 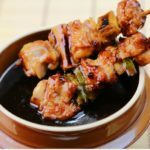 It is often associated with famous priests and important Japanese figures like Toyotomi Hideyoshi, who cared for its aesthetics and helped it form its current atmosphere. 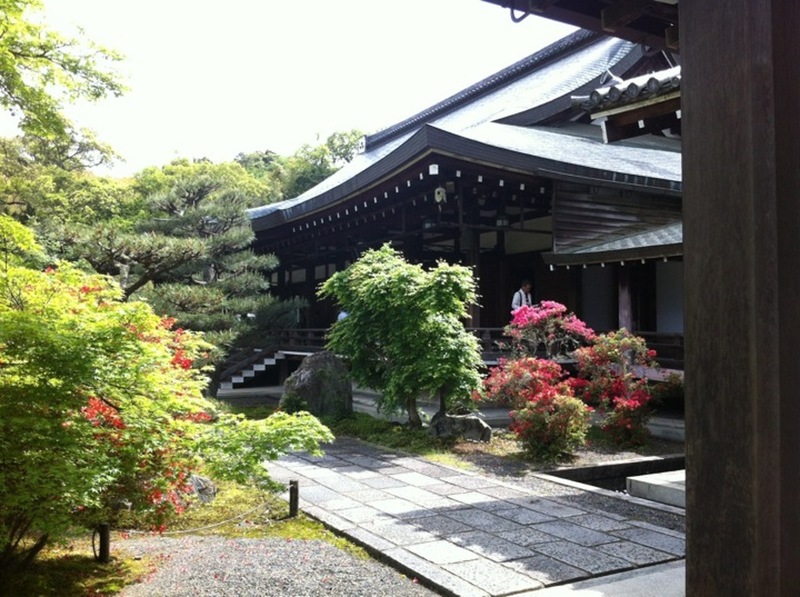 Generally inward looking, Zen monasteries like Daitoku-ji were considered ideal for introspection and meditation. 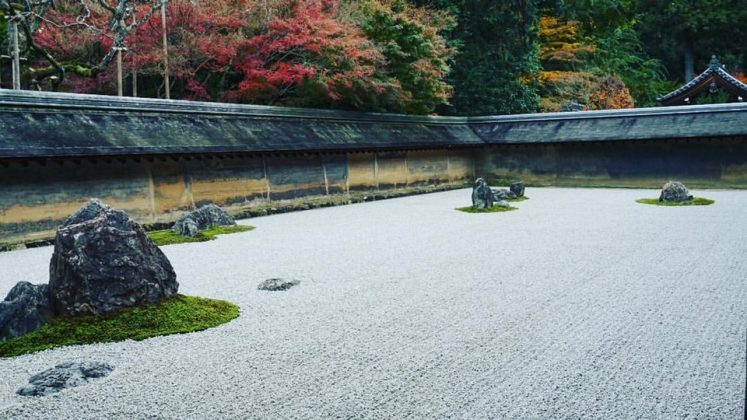 Along with its many religious structures this complex also includes some of the most beautiful and diverse Zen gardens in Kyoto. 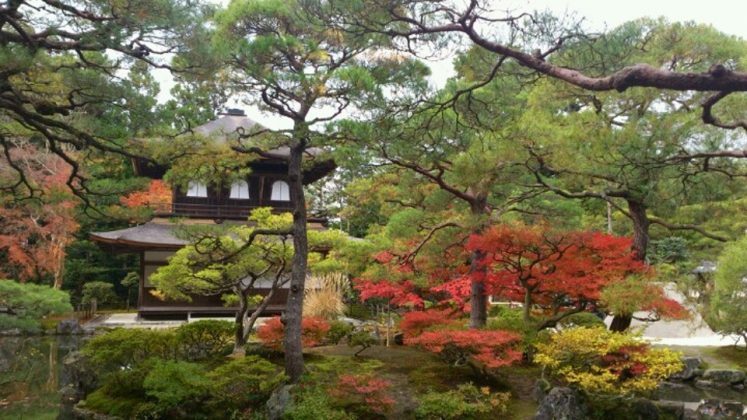 Daisen-in and Ryogen-in are two sub-temples that include the most important structures and gardens of the Daitoku-ji temple complex. 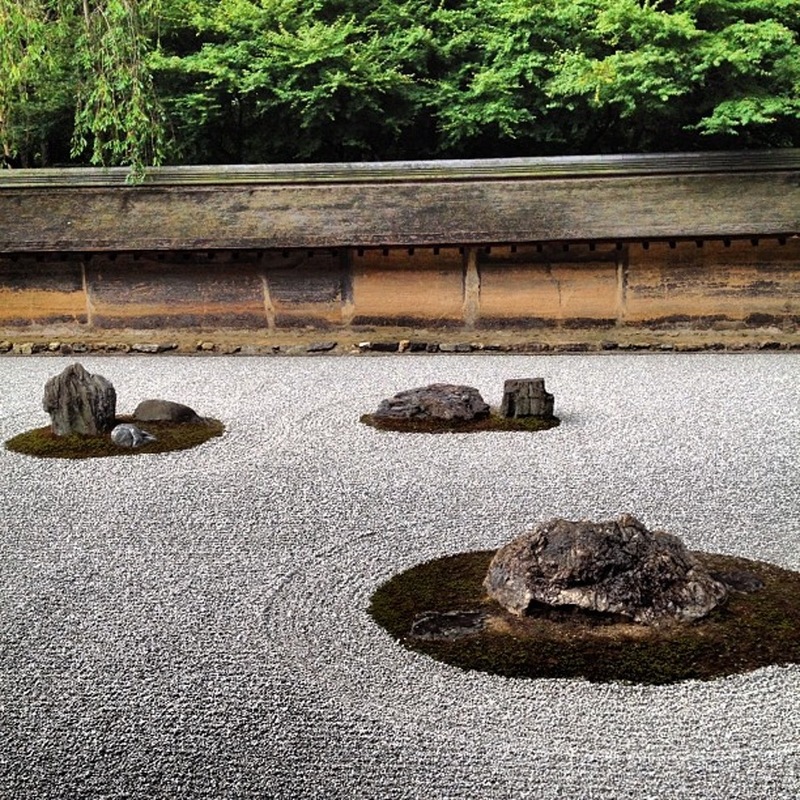 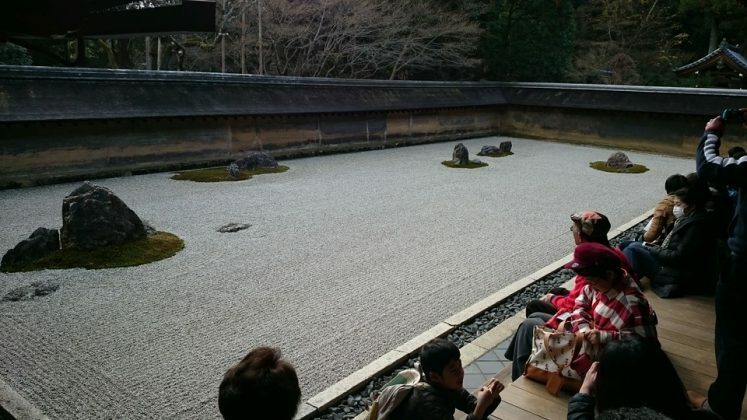 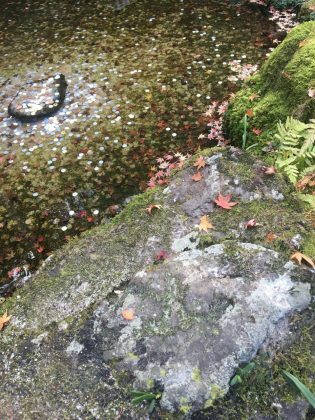 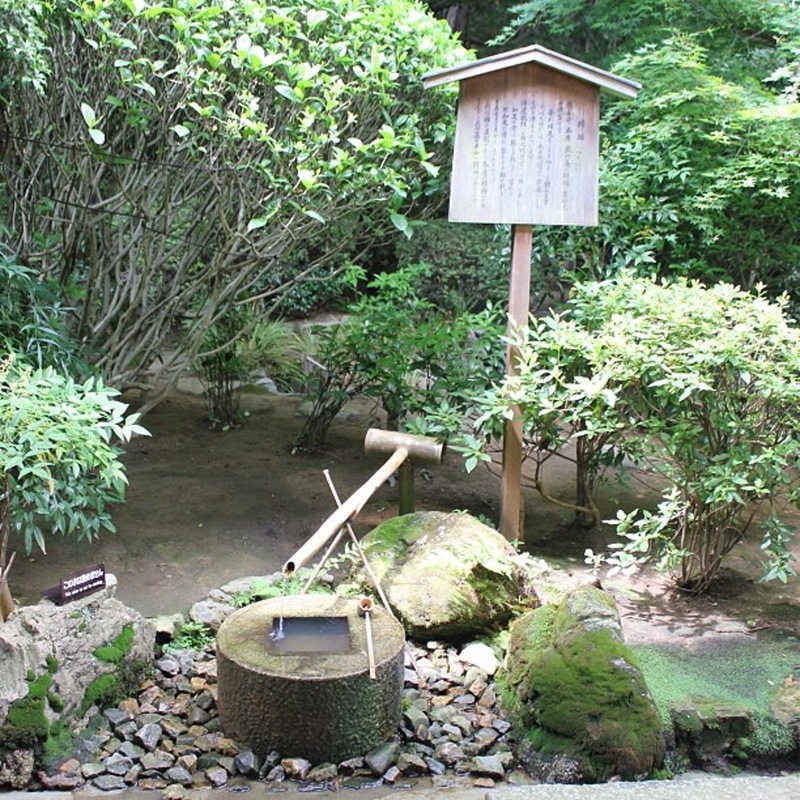 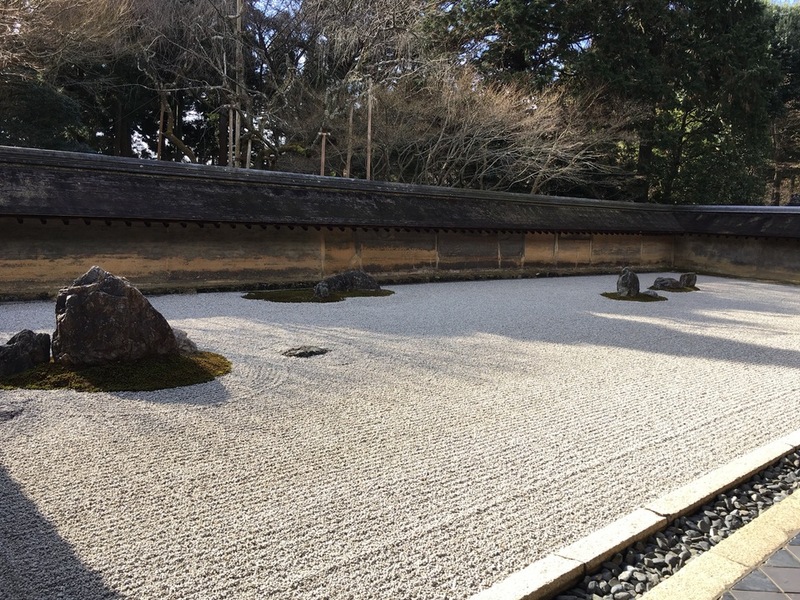 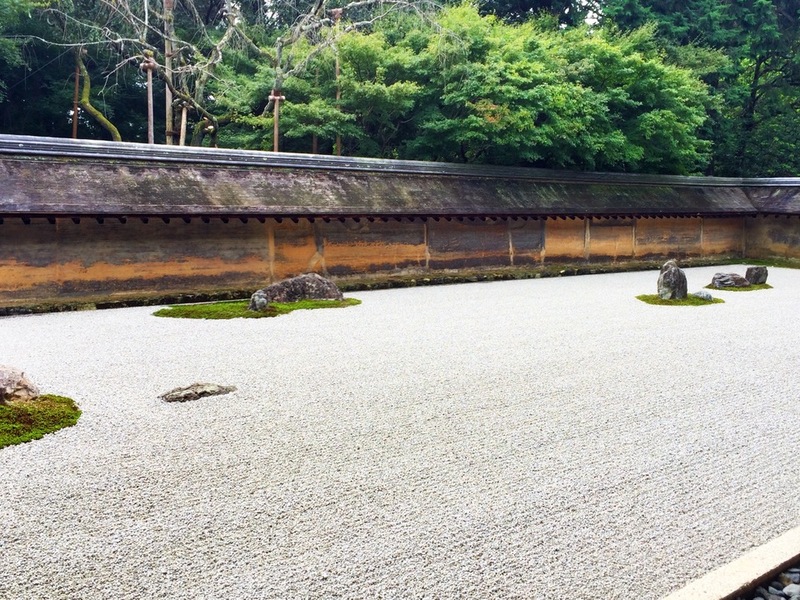 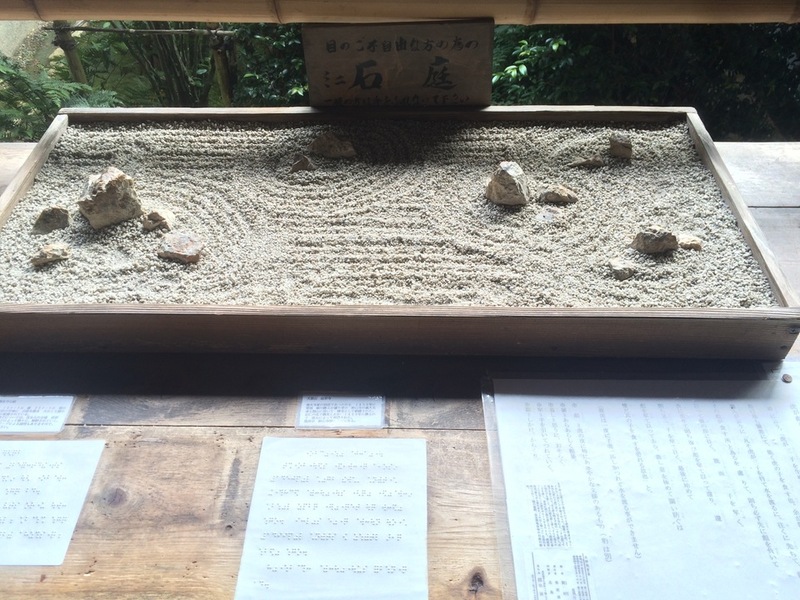 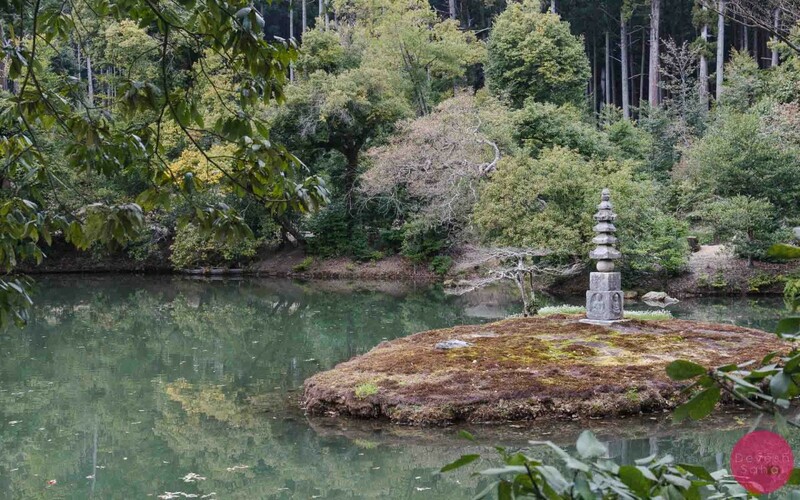 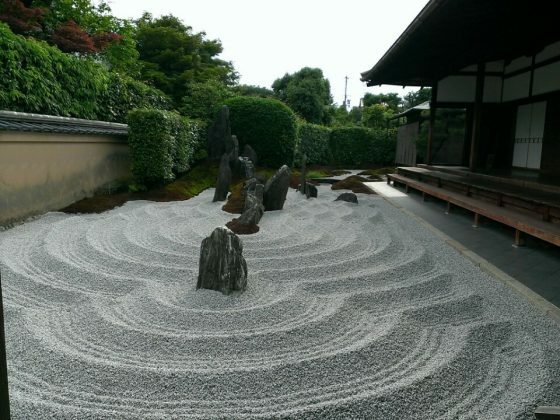 In Ryogen-in you will even find the smallest rock garden in Japan. 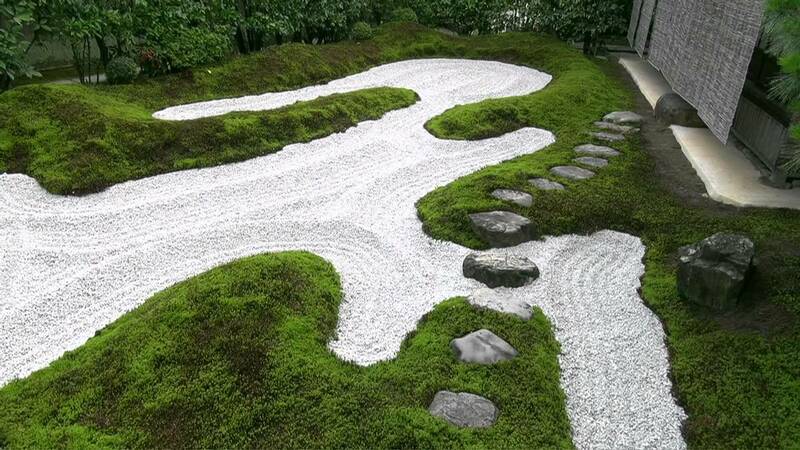 In the northeastern corner of Daisen-in you will find a great masterpiece of Zen style miniature landscape gardening. 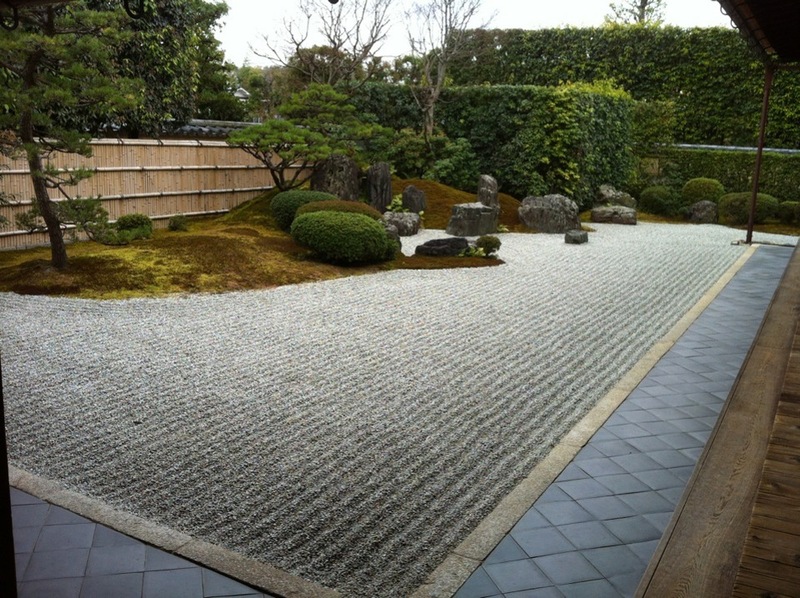 The garden, although it contains only rocks, gravel and trees in a limited area, manages to create a unique and dynamic composition of its elements. 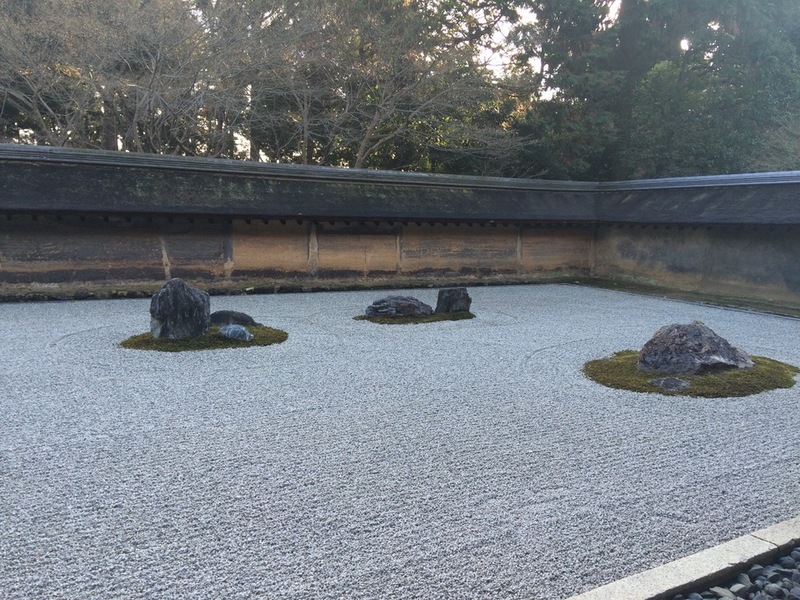 Another powerful composition can be found in Ryogen-in. 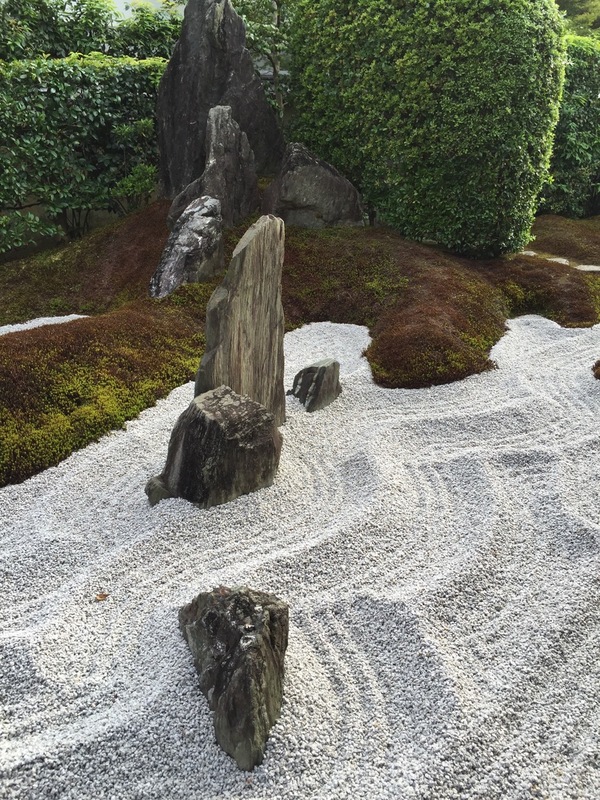 The dry Zen garden here contains three rock groupings with relatively large rocks and orderly raked gravel. The rocks in its center are surrounded by oval shaped moss that instantly captivates the eye with its regularity. 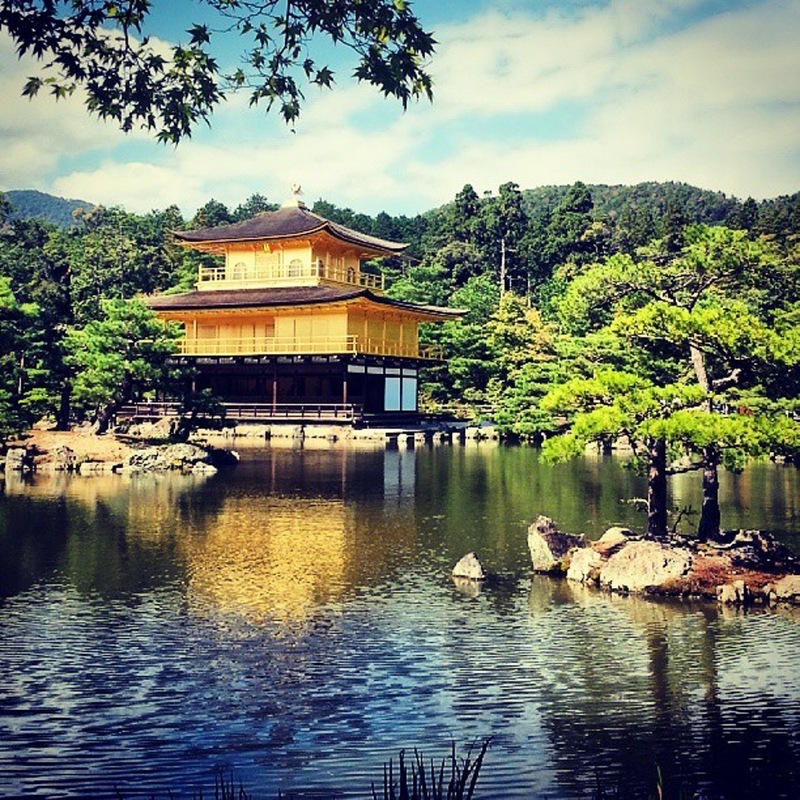 One of Kyoto’s iconic temples is Kinkaku-ji, named after the Golden Pavilion in the center of the precinct. What makes it stand out all the more is the Kyokochi pond or Mirror Pond. 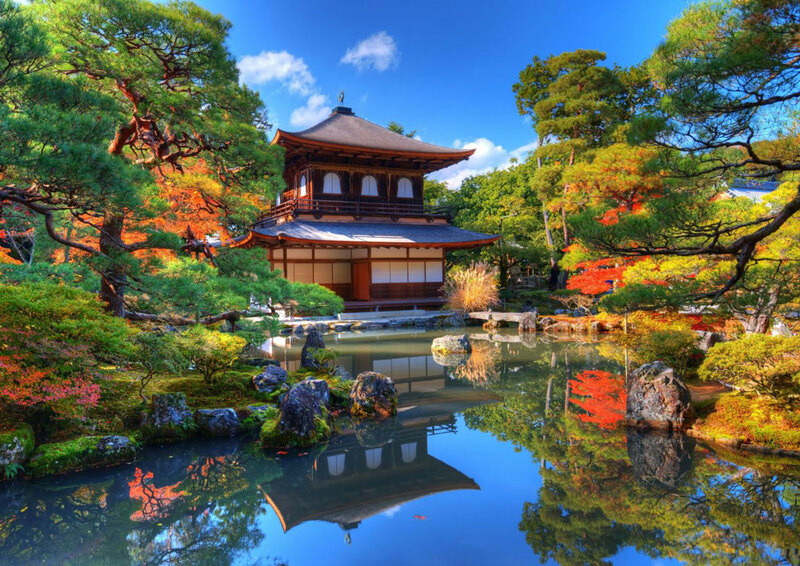 On a clear day, its calm waters reflect perfectly the temple and its surroundings. 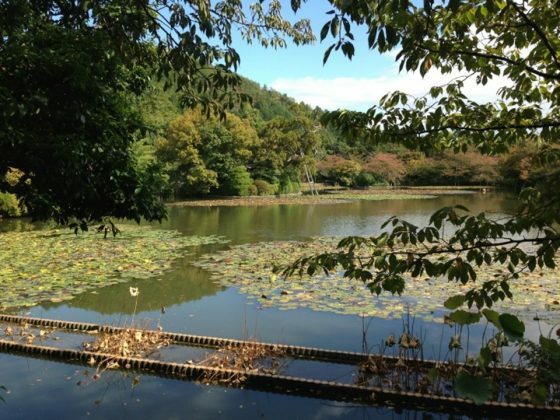 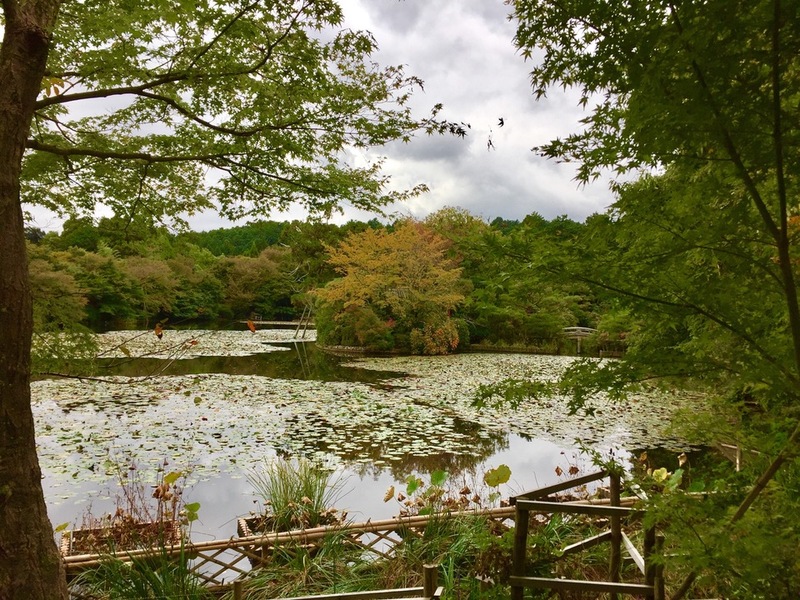 The pond plays an important role in the so called “Paradise Garden” design and its layout was greatly influenced by earlier Zen pond gardens like that of Saiho-ji. Although there is a path around the pond where the visitors walk today, the garden was designed to be viewed best from the Golden Pavilion itself, or from a boat in the lake. In front of the pavilion there are small island formations strategically arranged so that they give depth and the idea of spaciousness to the whole composition. 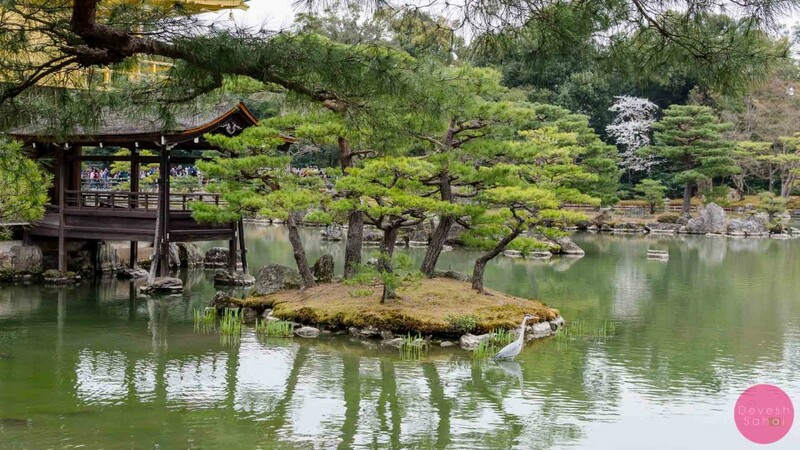 If you pay attention to the size of the trees on them you will see that they are carefully chosen to fit the size of the island and also interact with the Golden Pavilion behind them. 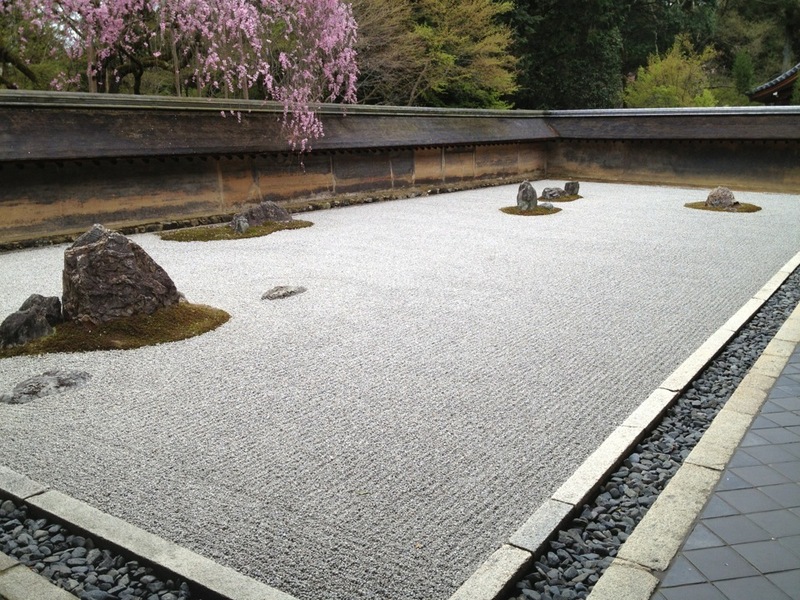 In Japanese gardens, perspective is important as it helps to make a space look bigger. In its original form, the complex contained villas, private residences and other structures that were all destroyed during the Onin War. 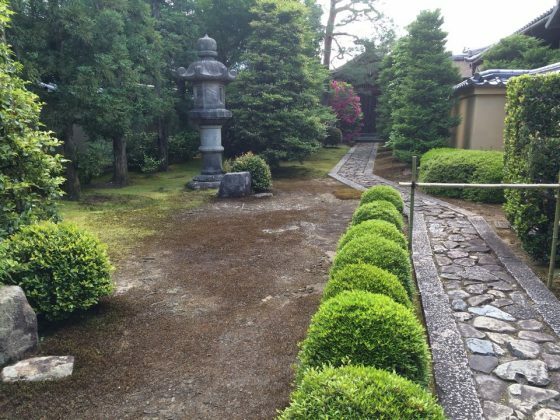 Today the remaining buildings are all additions to the original design that are meant to complement the garden. 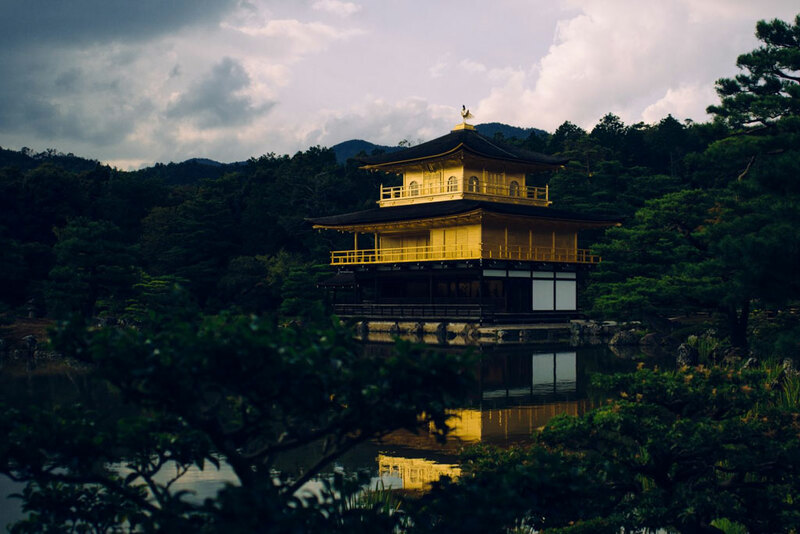 See more Kinkaku-ji temple at here. 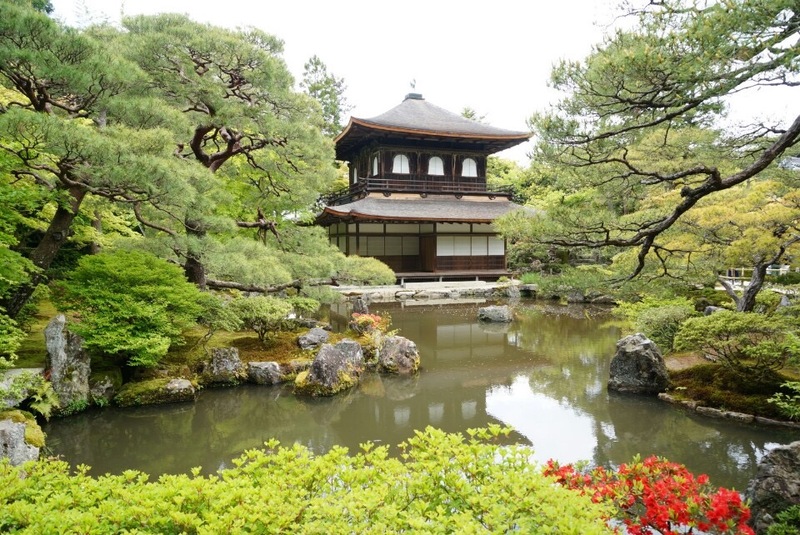 Ginkaku-ji, known as Temple of the Silver Pavilion, in Kyoto, Japan., Copyright: sepavo / 123RF Stock Photo. 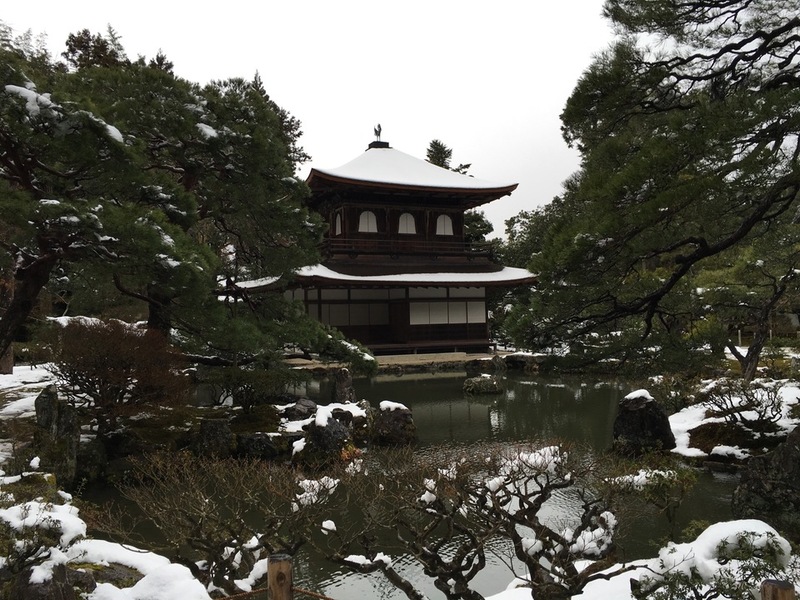 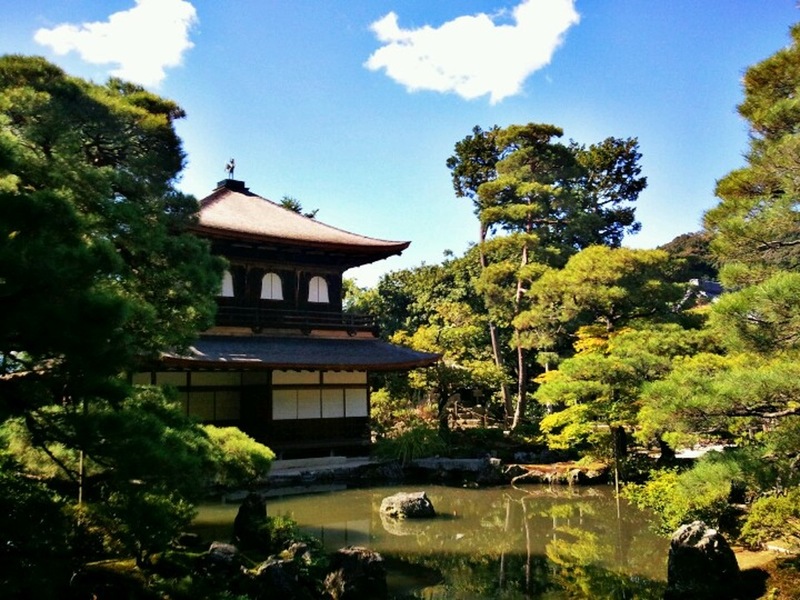 Similar to Kinkaku-ji, Ginkaku-ji was named after its main building, the Silver Pavilion. 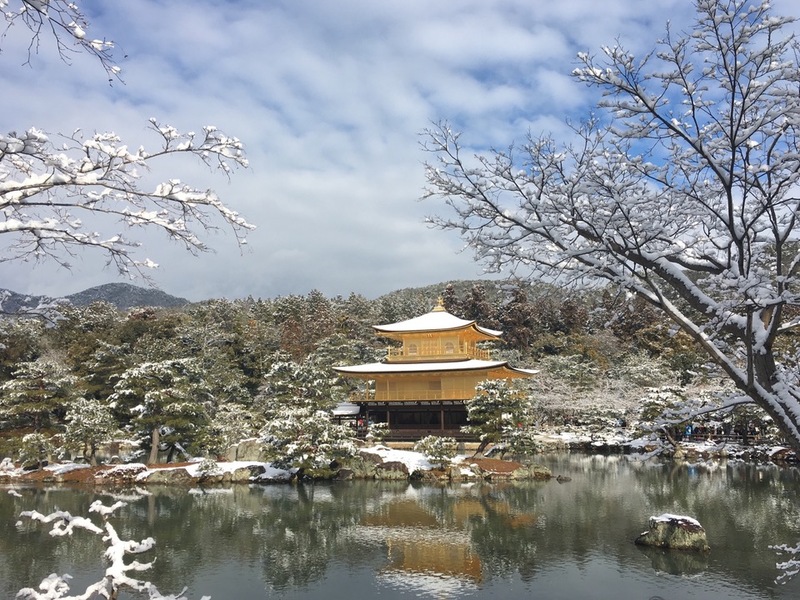 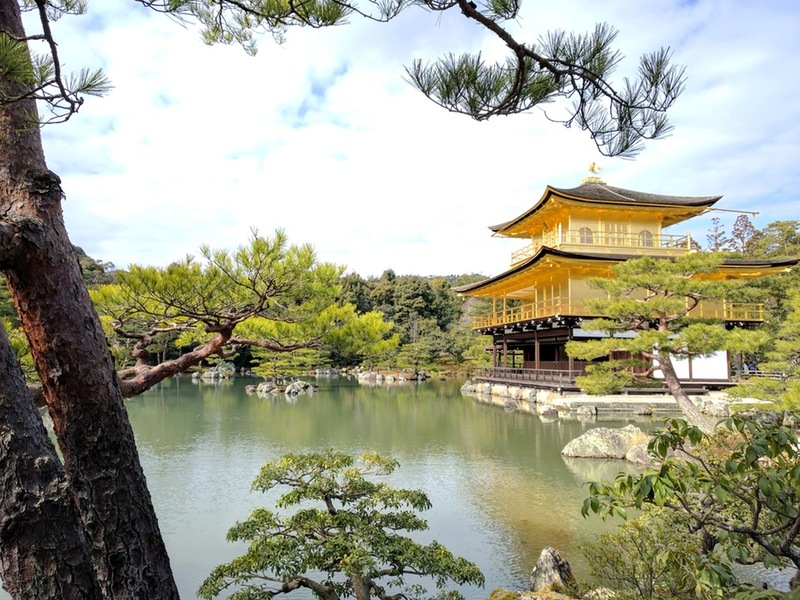 Although it was built after Kinkaku-ji and never actually completed as planned (they intended to cover it with silver leaf), many consider Ginkaku-ji as superior to its predecessor, for its graceful simplicity and its better adaptation to the surrounding environment. 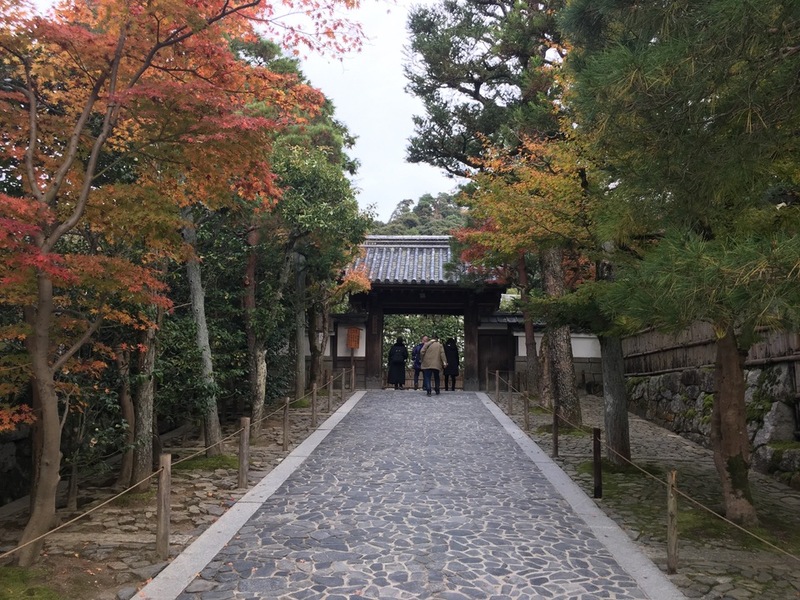 Also, the main path through its grounds is not focused around a focal point as in Kinkaku-ji and visitors can be seen walking around more freely exploring the site at their own pace. 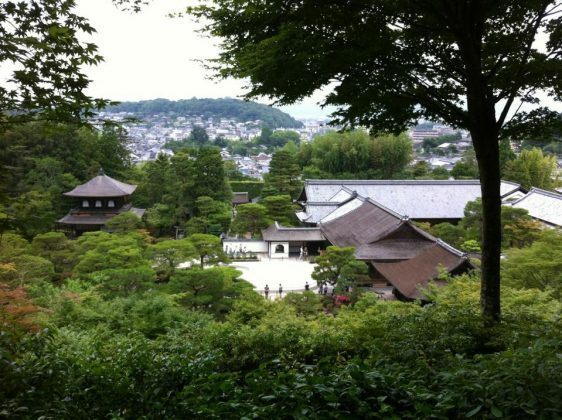 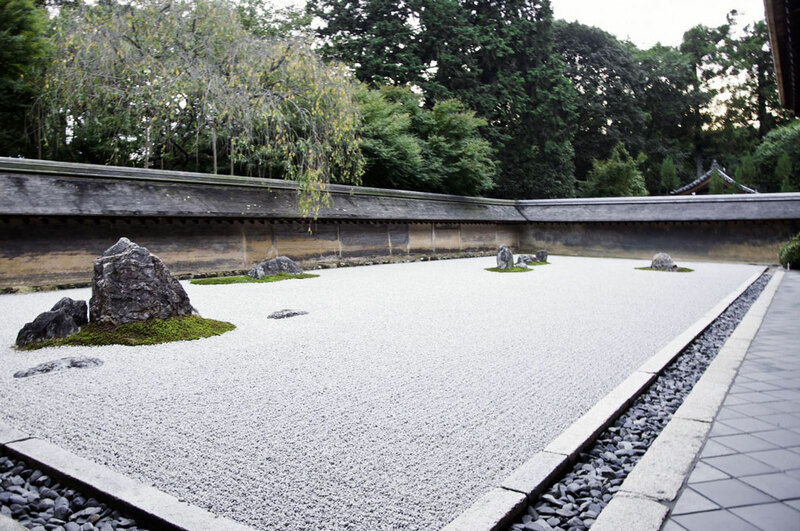 The garden is divided into two distinct parts, the lower and the upper one, inspired by the example of Saiho-ji. 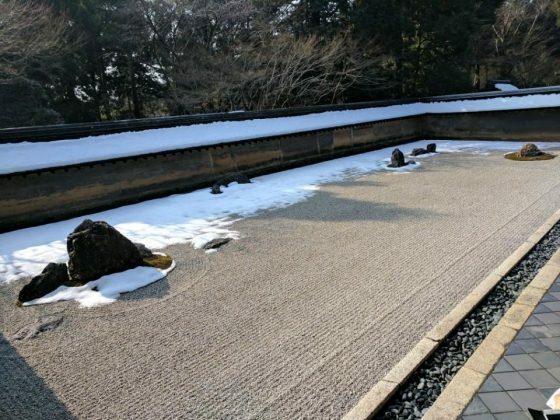 The lower part consists of an early Zen style stroll garden organized around a pond with decorative elements such as bridges and compositions of rocks and plants. 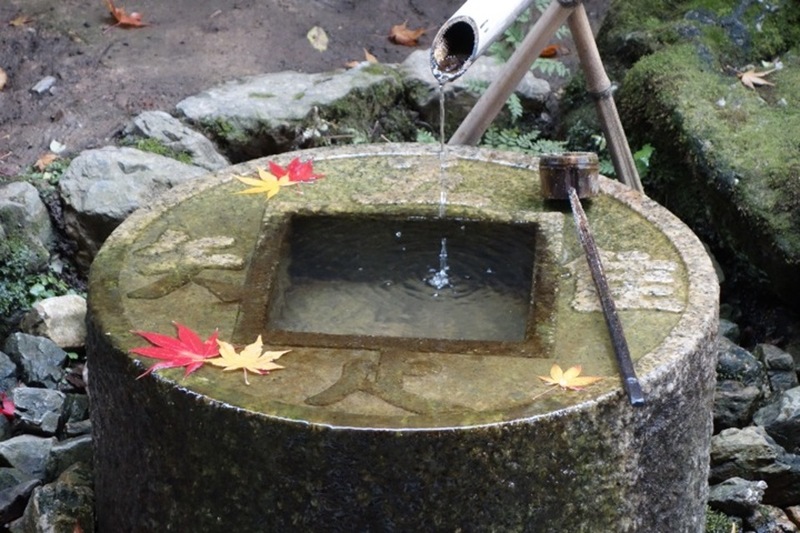 The upper part is the first thing that can be seen as the visitor enters the site. 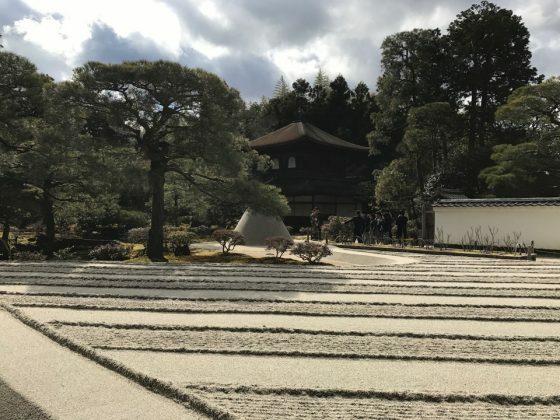 It consists of a dry Zen garden in which most of the space is occupied by sand, raked in parallel zones resembling waves, giving rise to its name, the Sea of Silver Sand. 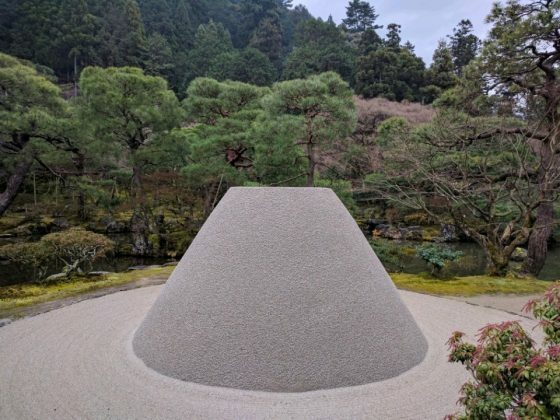 The main focal point in this composition is a sand cone from which the top is missing so as to resemble mount Fuji. 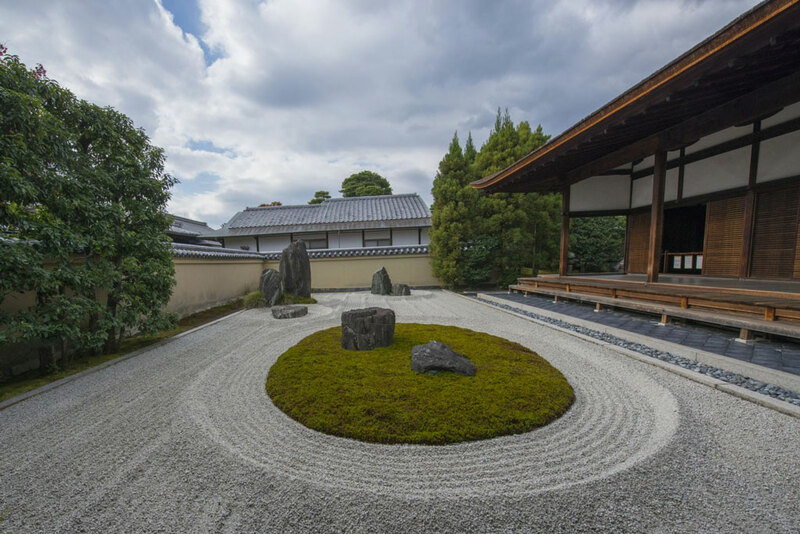 By the juxtaposition of these two contrasting elements, the visitor is challenged to contemplate nature and the aesthetic power of a carefully designed garden. 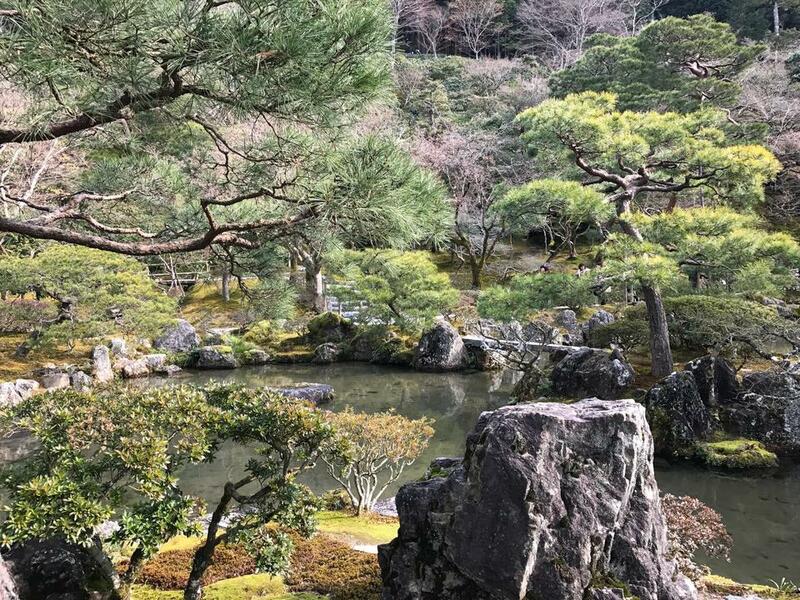 At its highest point, the garden offers a spectacular view of Kyoto and of the Ginkaku-ji temple complex. 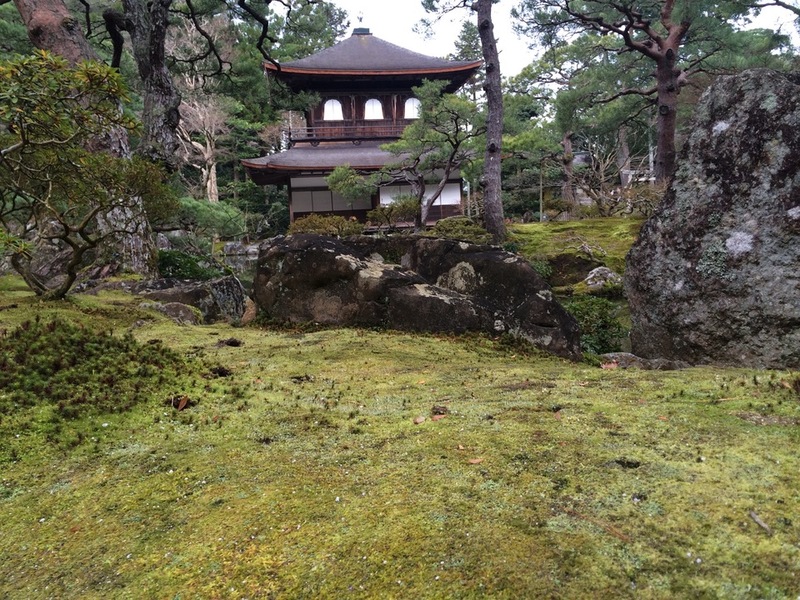 See more Ginkaku-ji Temple at here. 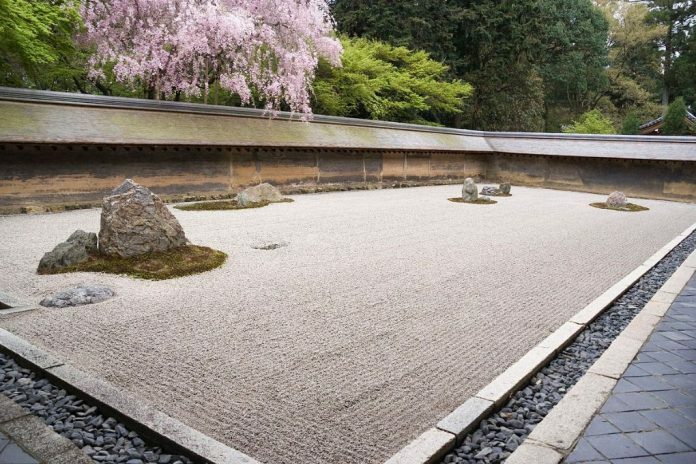 A Zen Rock Garden in Ryoanji Temple In a garden fifteen stones on white gravel Kyoto Japan, Copyright: siraanamwong / 123RF Stock Photo. 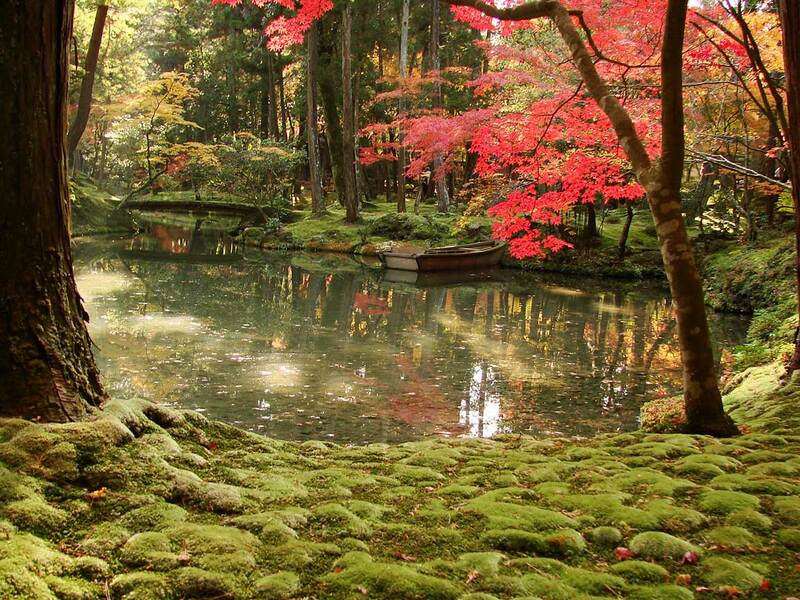 The most famous Japanese garden in Japan can undoubtedly be found in the Ryoan-ji temple, in the northwest of Kyoto. 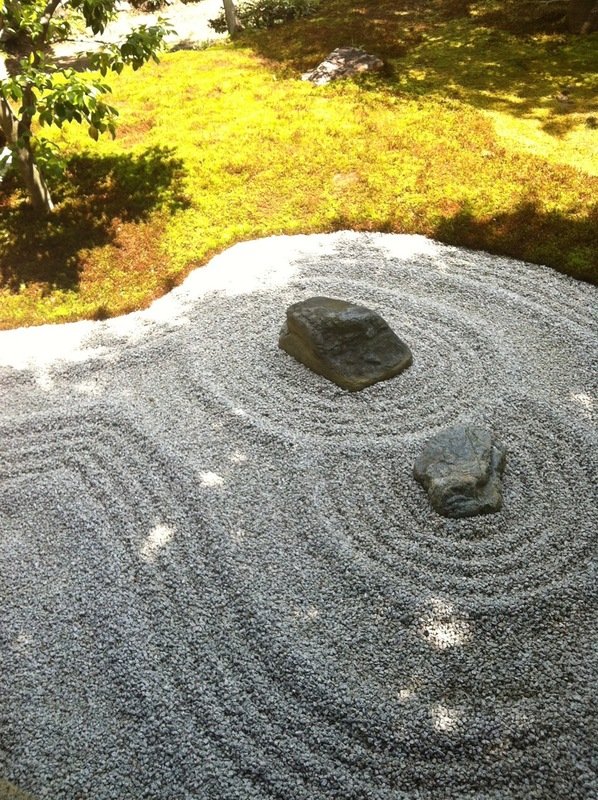 Its rock garden is the most representative example of a karesansui garden, or dry Zen garden. 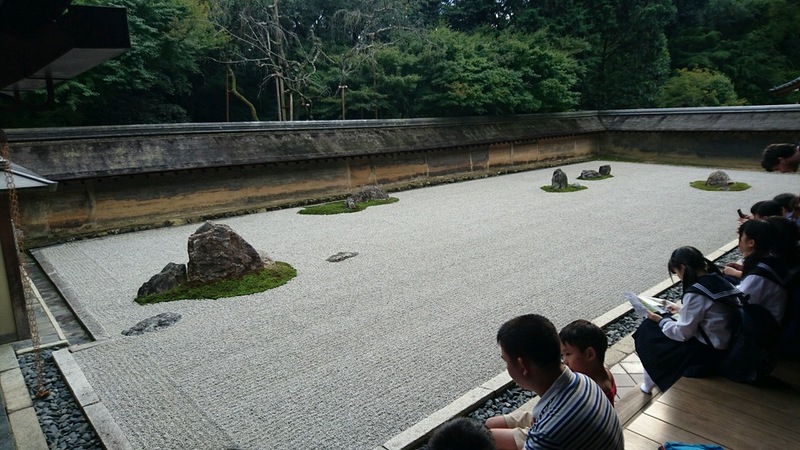 Fifteen stones are arranged asymmetrically in five groupings in a rectangular area covered with carefully raked white gravel. The only vegetation found in the whole area is the moss around the stones. 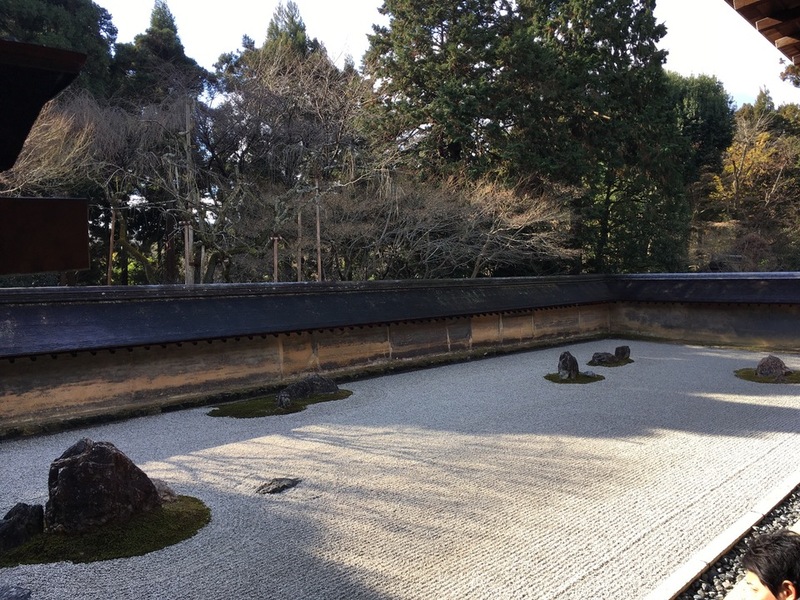 The composition is surrounded on three sides by earthen walls to separate the garden from the outside world, offering the necessary seclusion for meditation. 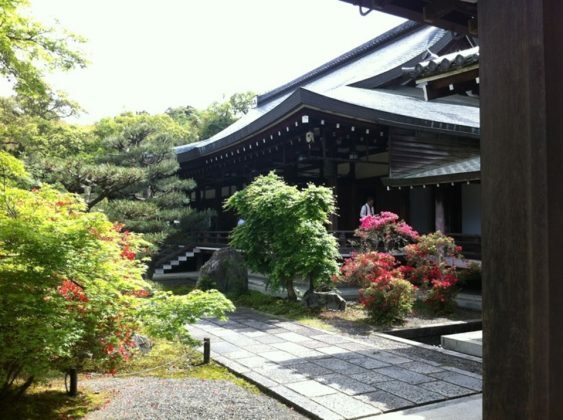 On the remaining side the pavilion opens up to a veranda where visitors can sit and enjoy the view of the garden. 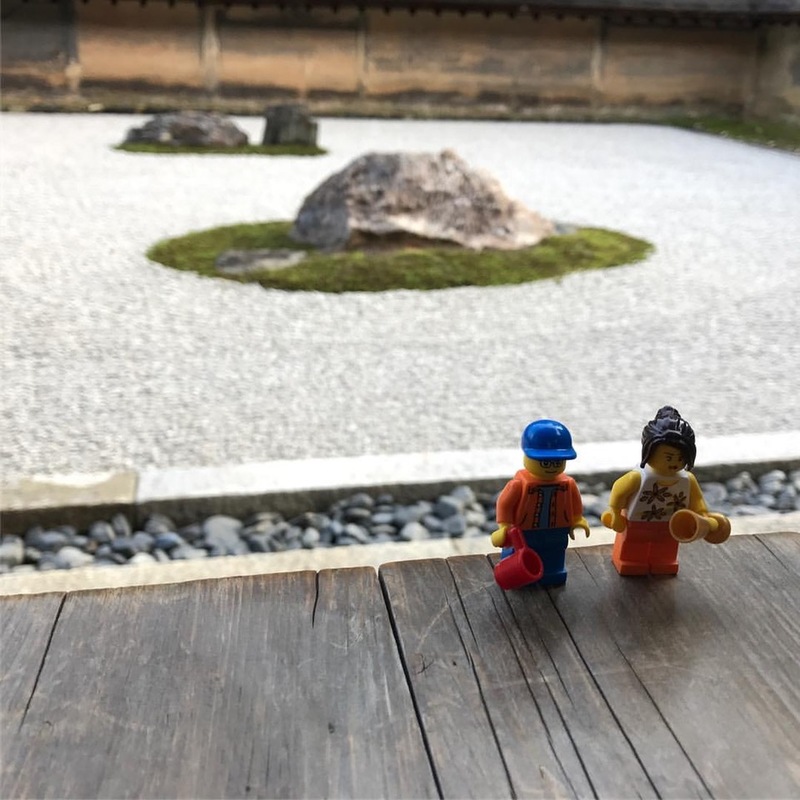 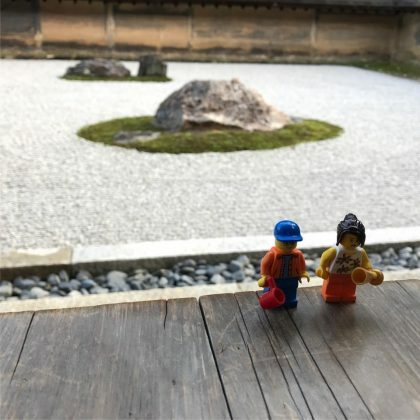 As with many Zen gardens, its carefully arranged composition is considered to be a work of art and as such it is only meant to be looked at from a certain distance and not stepped into. 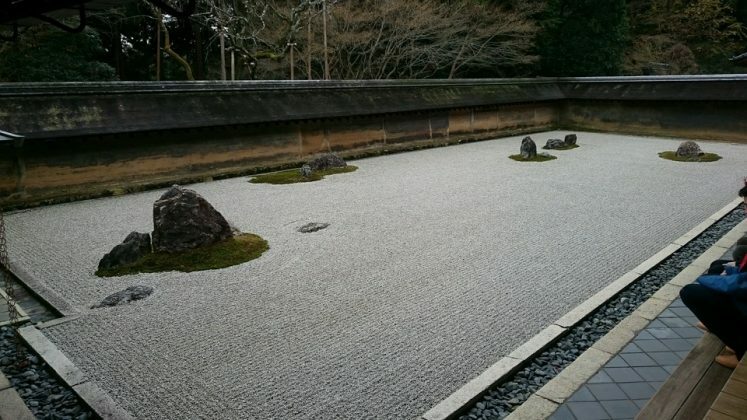 The Ryoan-ji Zen garden can be perceived as an abstract painting, open to all kinds of interpretations. Some for example claim to see in it “islands in a sea” while others see “a mother tiger and her cubs swimming”. Whatever anyone of us can see, or whatever it was meant to symbolize, it is undeniably a masterpiece worth a closer look. Its effortless simplicity and its sophistication have influenced garden designers and our own perception of what can actually be considered a garden.